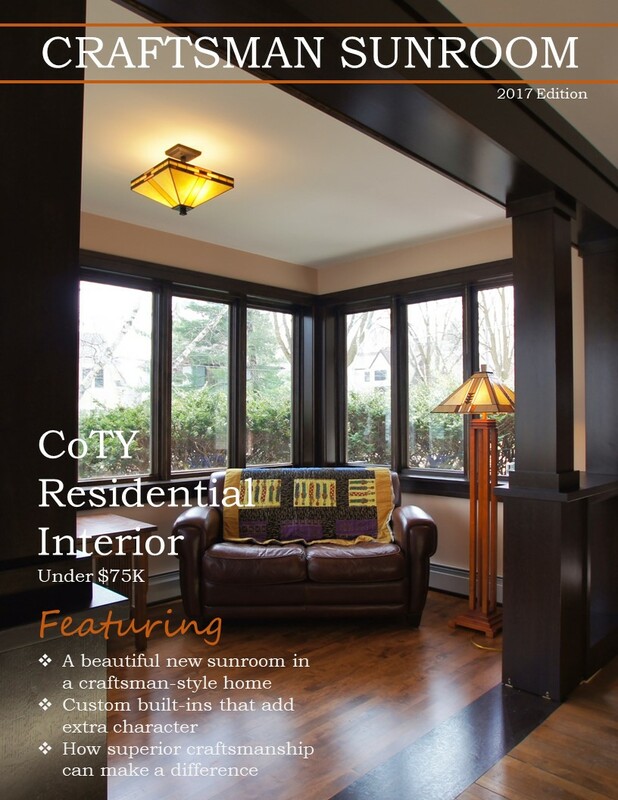 On November 1st we were awarded the NARI Contractor of the Year Award in the category of Residential Interior- $75,000 & under for our Craftsman Sunroom Remodel! 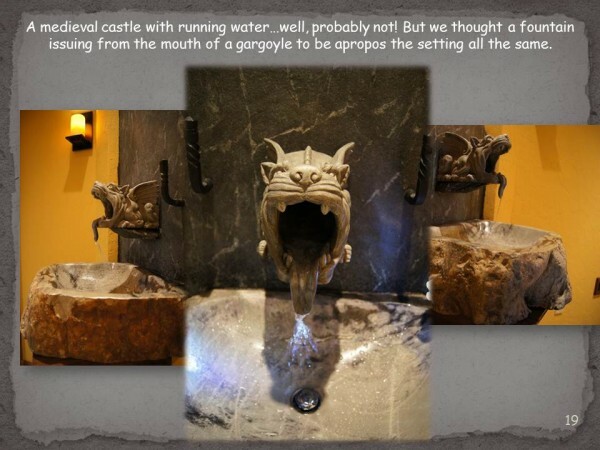 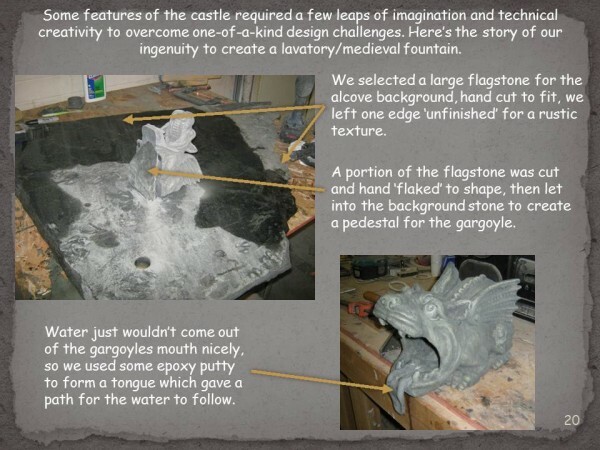 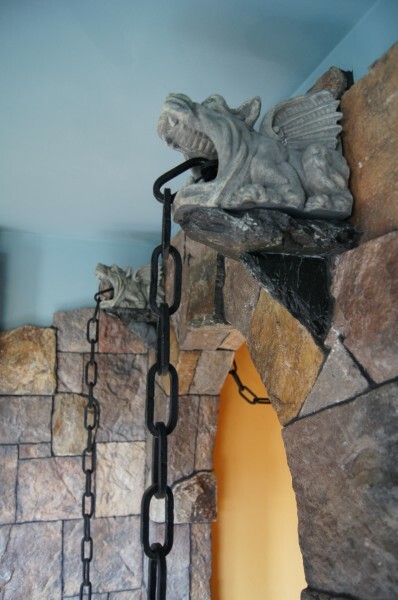 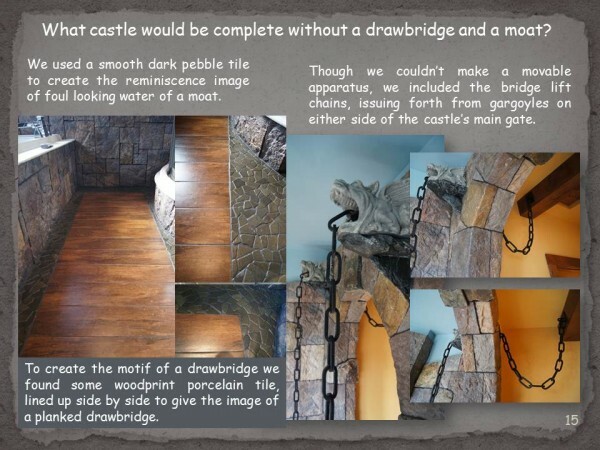 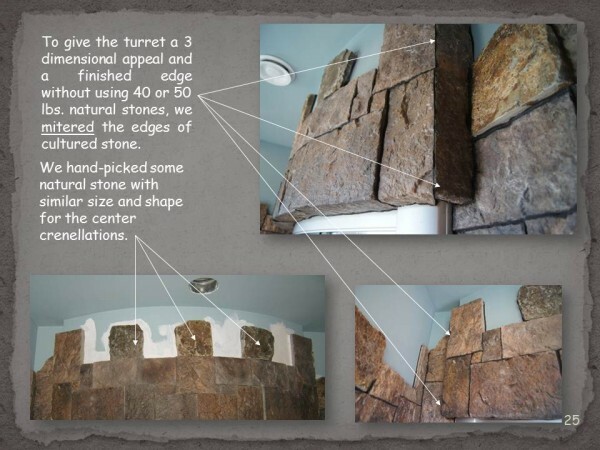 We love working with homeowners that allow us to do fun projects like this one! 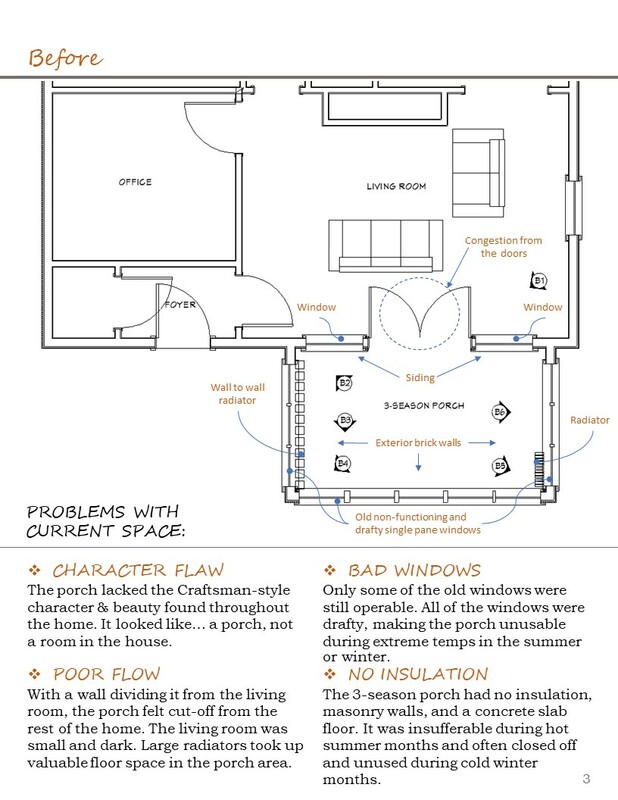 These homeowner’s had an unusable room found in many homes- a 3-season front porch. 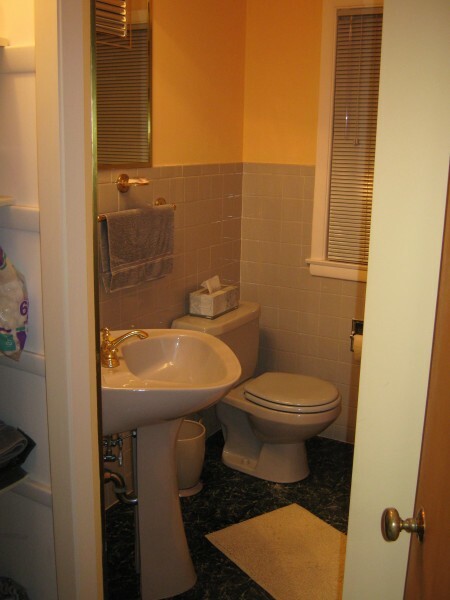 The room was uncomfortable most months of the year due to improper heating and cooling. 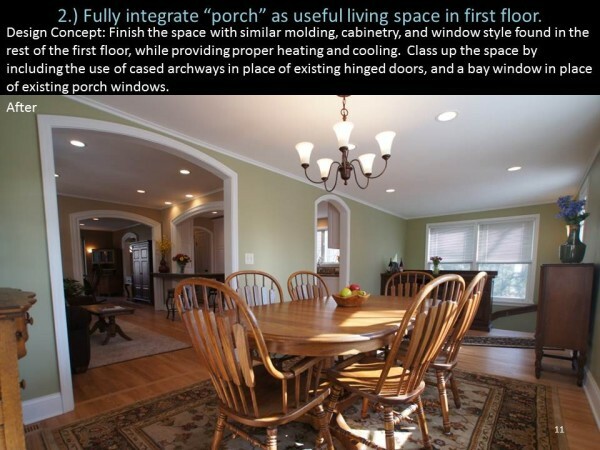 In addition, a wall with french doors divided the porch from the living room. 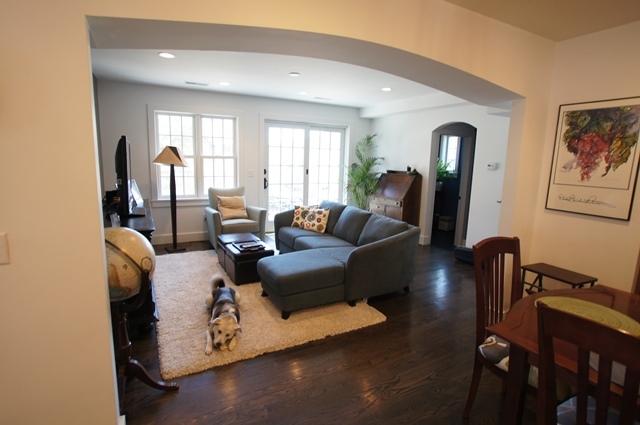 This created a dark, uninviting space in an otherwise charming living room. 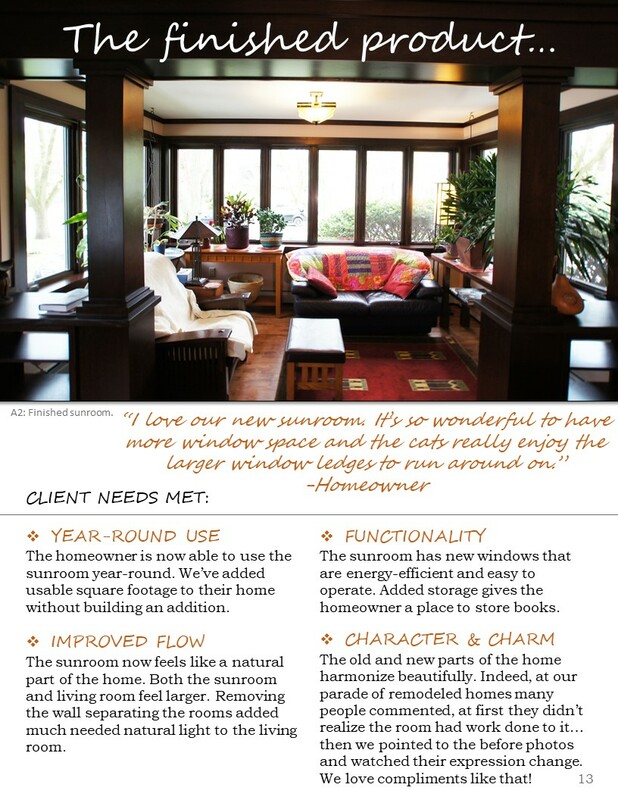 The homeowners loved the natural light that came into the porch, but they wanted to be able to use the room year- round as a sunroom. 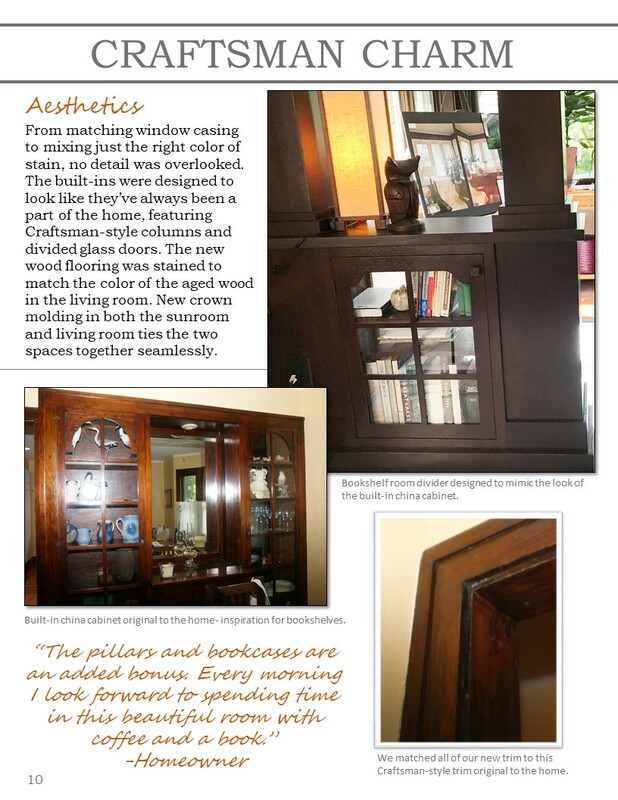 Another top priority of these homeowners was to incorporate the Craftsman-style woodwork and charm found throughout the rest of their home. 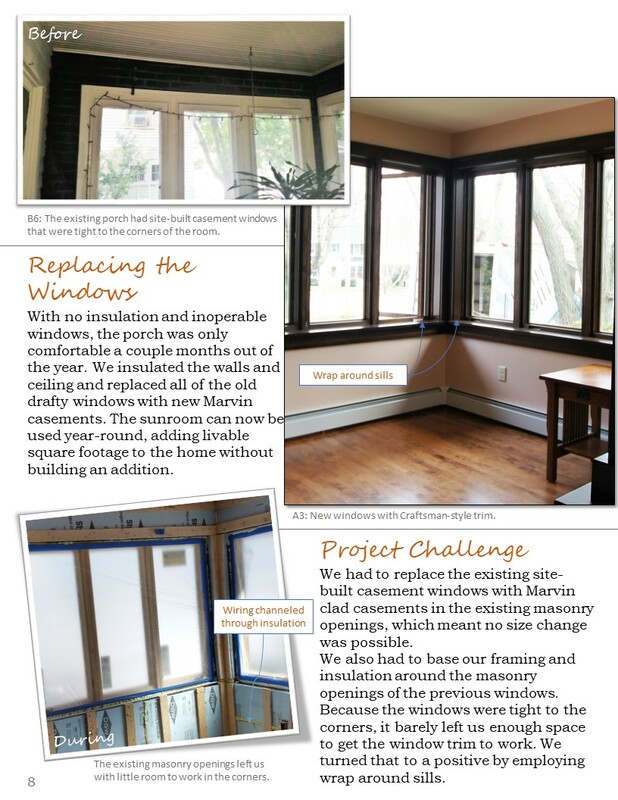 We ran into many challenges along the way including having to replace the existing site-built windows with Marvin casements in the existing masonry openings, cutting access through the concrete slab floor to run baseboard heat into the room, and matching the height of the new wood floor to the existing wood in the living room. 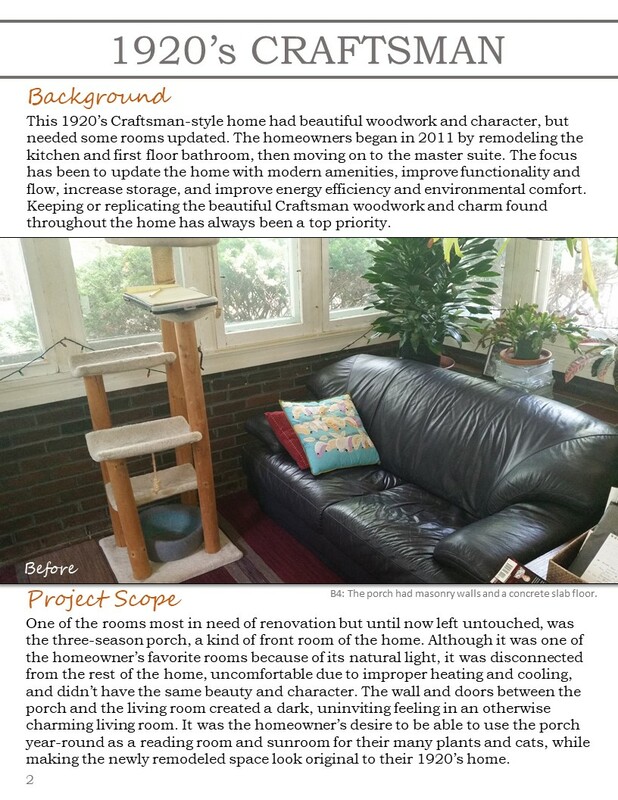 The finished product is a beautiful sunroom and reading room that the homeowners are now able to use year-round. 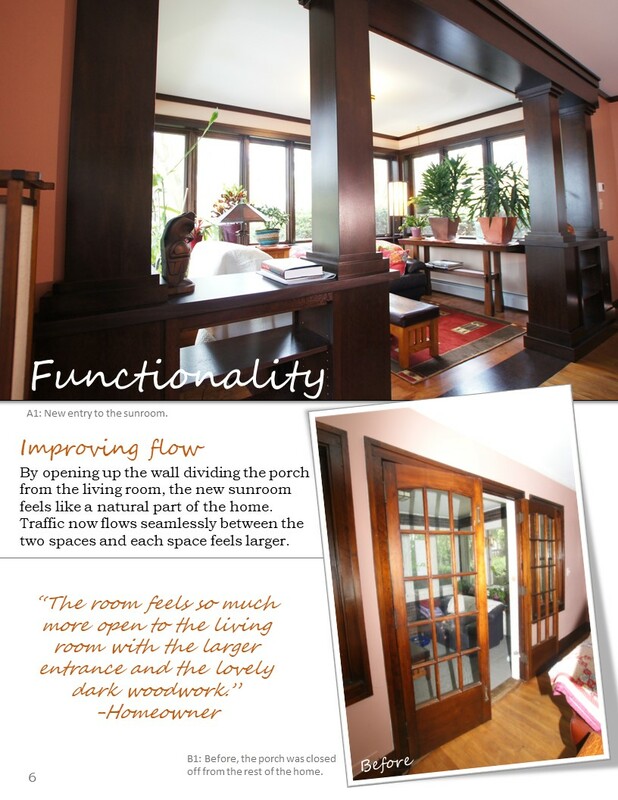 We incorporated a custom-built room divider at the entry to the sunroom that gives the room a huge “wow-factor”. 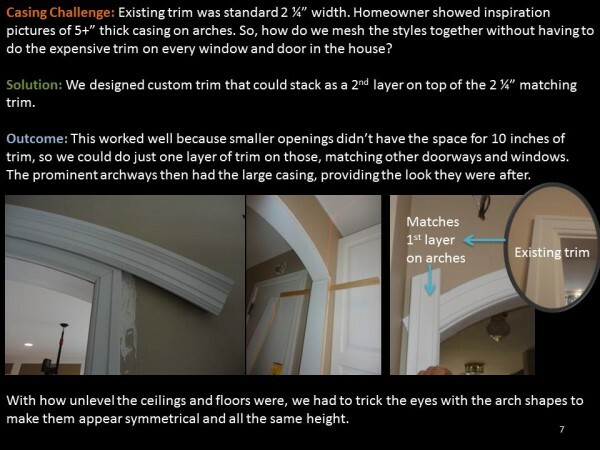 We also matched the new trim to the Craftsman-style trim found throughout the home, creating a space that looks original to the home. 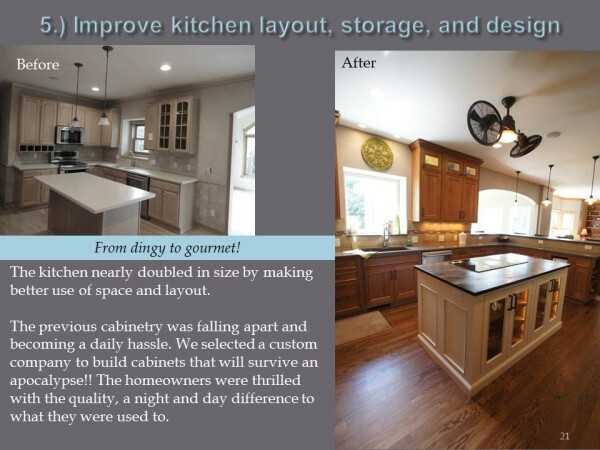 This home was also featured in the 2017 NARI Tour of Remodeled Homes this spring. 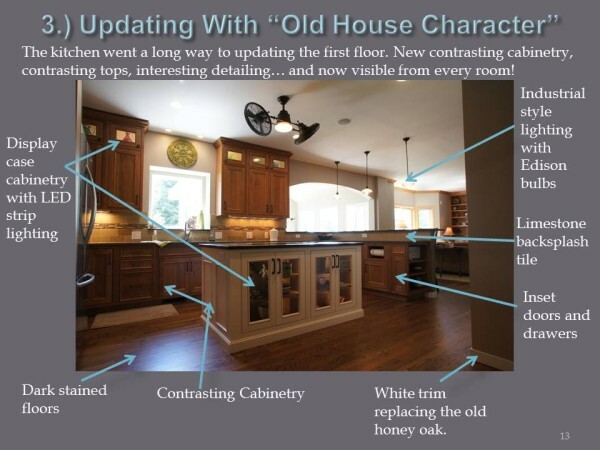 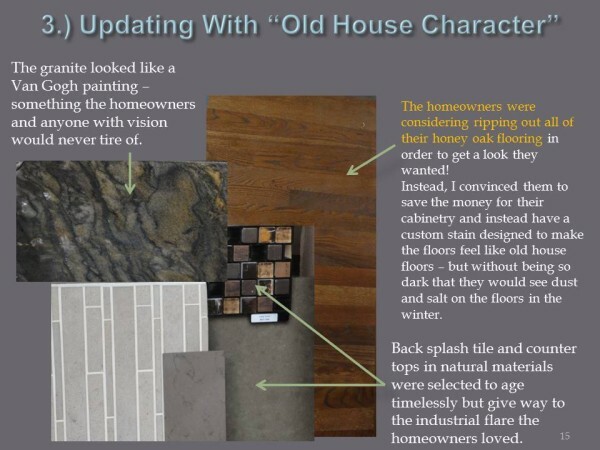 We had multiple people comment that they couldn’t tell what was new and what was original to the home. 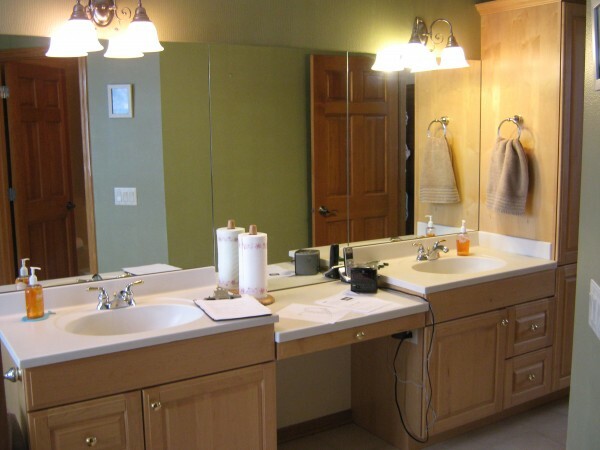 After showing them the before pictures, they realized the huge transformation! 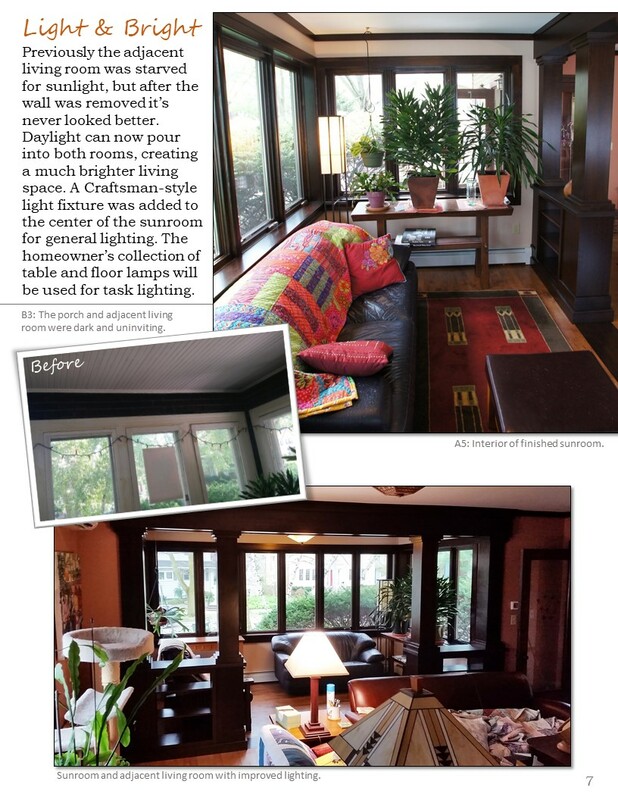 Thank you to the sub-contractors who helped us on this Craftsman Sunroom project. 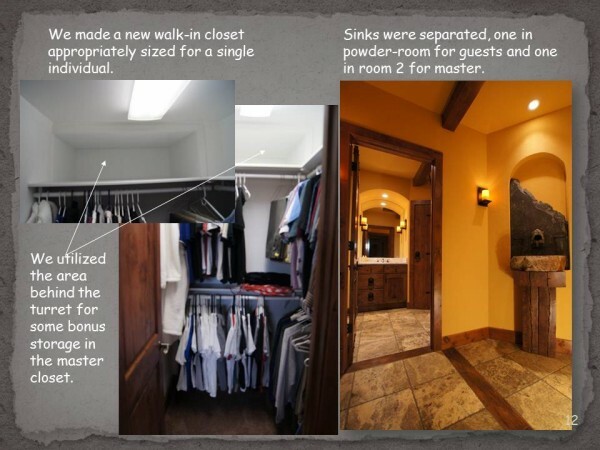 Amazing rooms like this would not be possible without you! 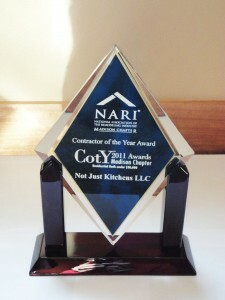 Friday night we took home another NARI COTY Award for this amazing first floor remodel! 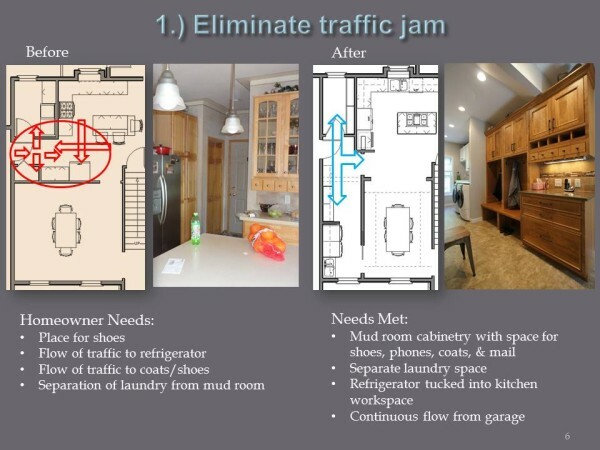 Winning category: Residential Interior $75-150K. 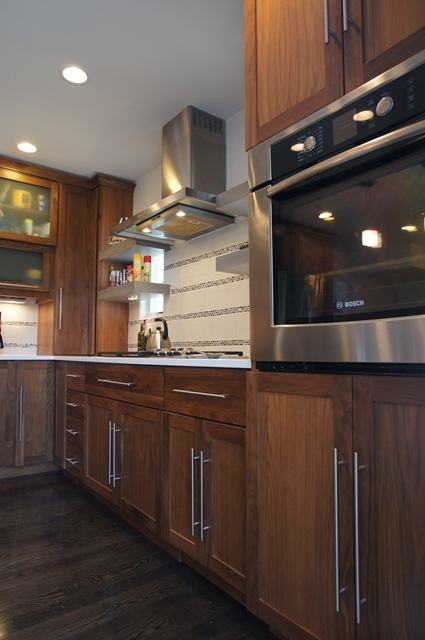 This home in Madison, WI had a boxy layout, small kitchen, and lacked character. 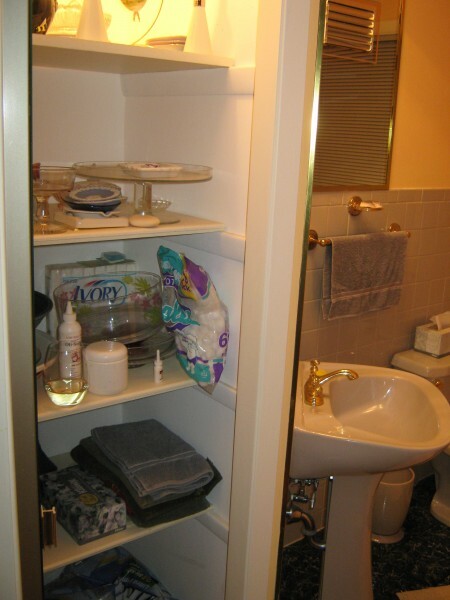 Also, it was short on enough storage for pantry and small kitchen appliances. 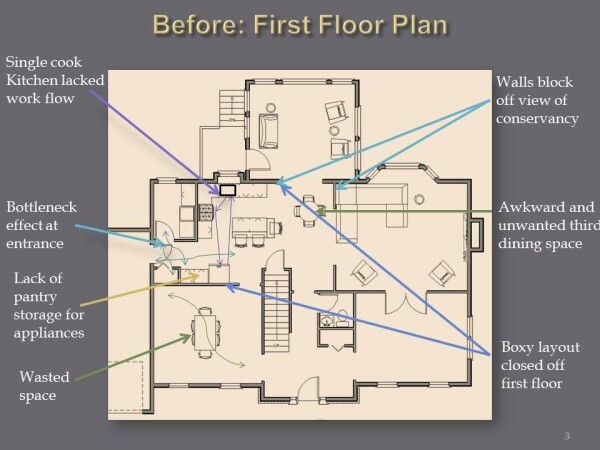 The homeowners wanted a more open floor plan with better flow. 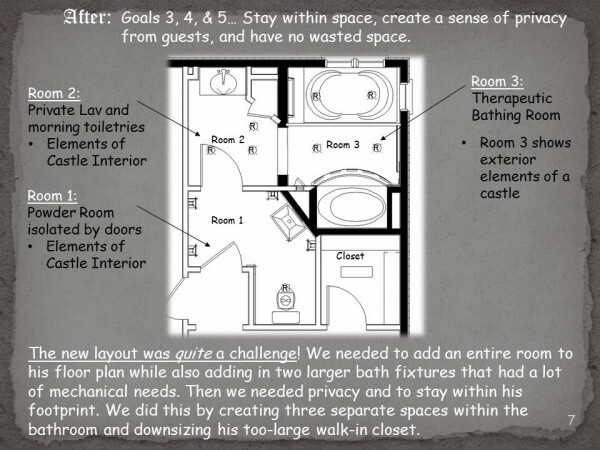 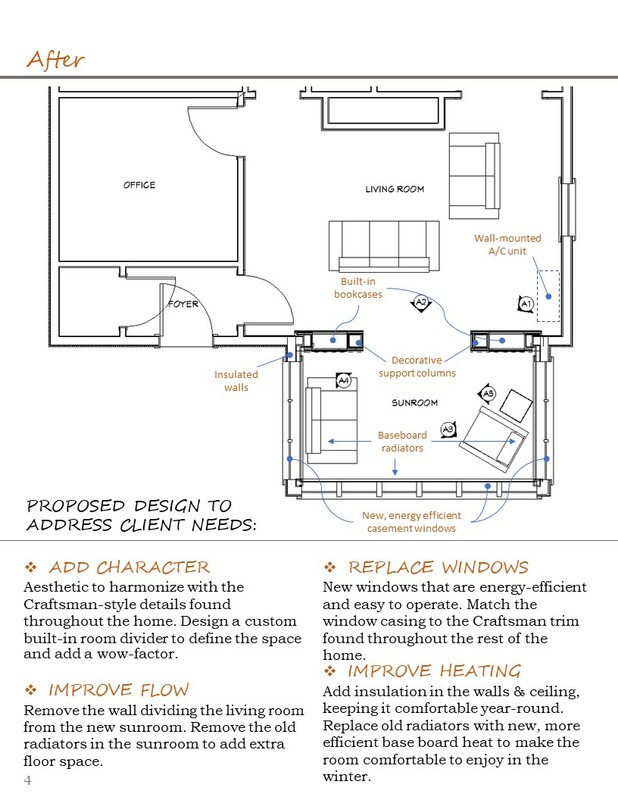 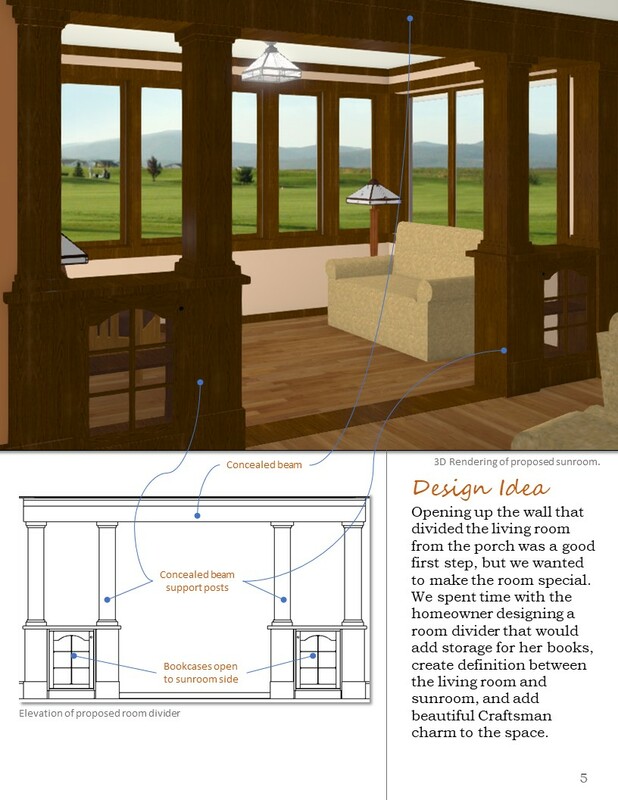 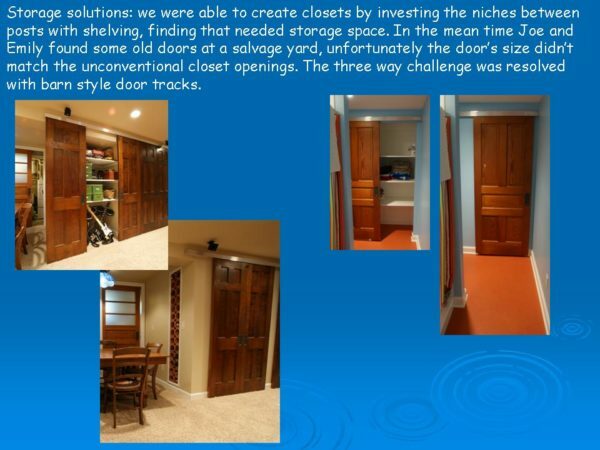 By re configuring the space, we were able to give them the home they’ve always wanted. 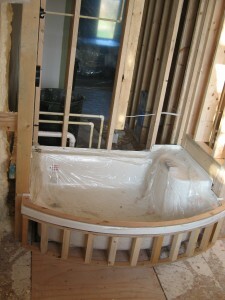 First, we opened up the entry to allow flow into a new mudroom and laundry room. 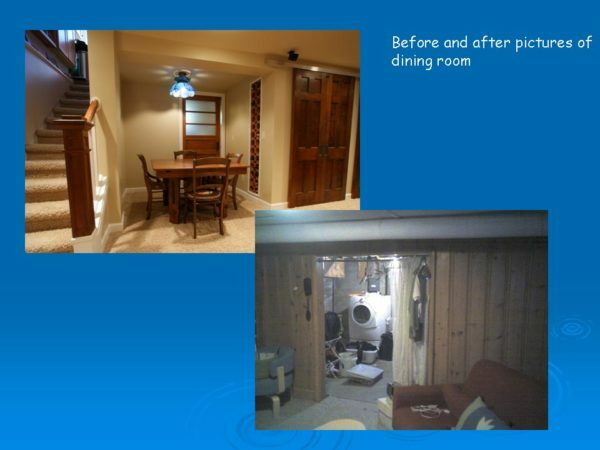 We used wasted space in the old dining room to create these two new rooms. 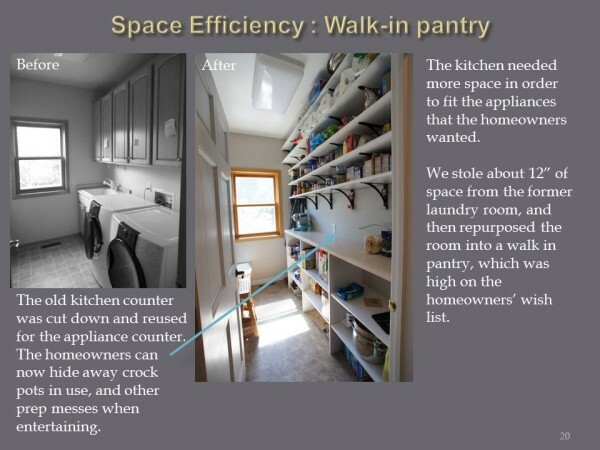 Then we turned the old laundry room into a walk-in pantry, giving the homeowners some much needed storage. 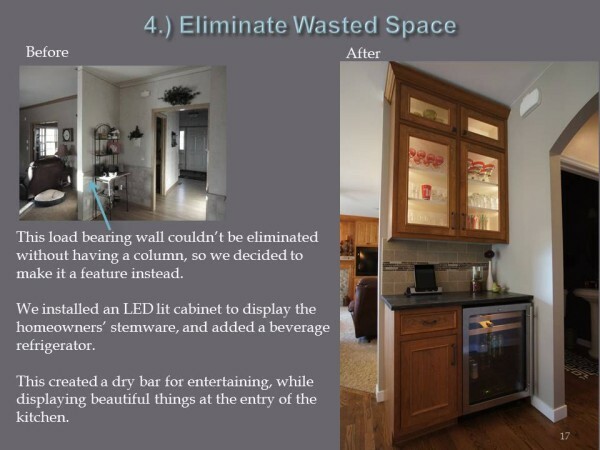 Next, we expanded the kitchen and removed an awkward and unwanted third dining space. 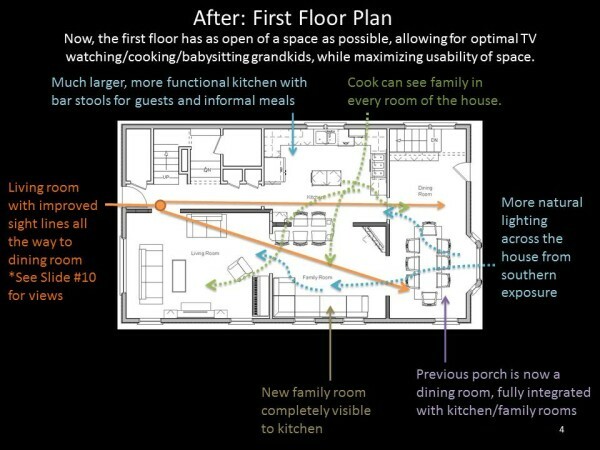 The first floor is now visible from the kitchen for optimal entertaining. 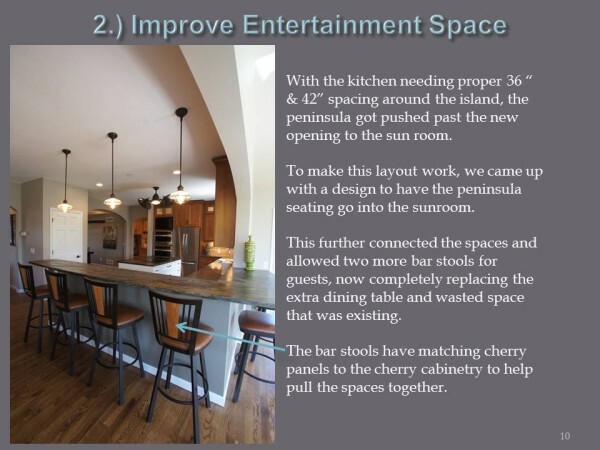 In addition, the peninsula wraps around and flows into the sun room, allowing for extra seating. 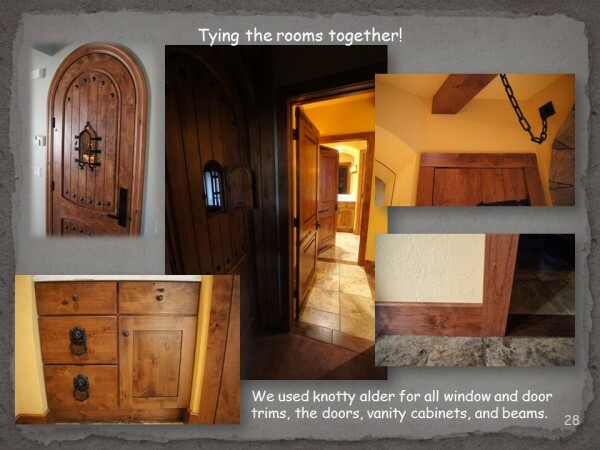 We stained the honey oak floors a darker more rustic brown. 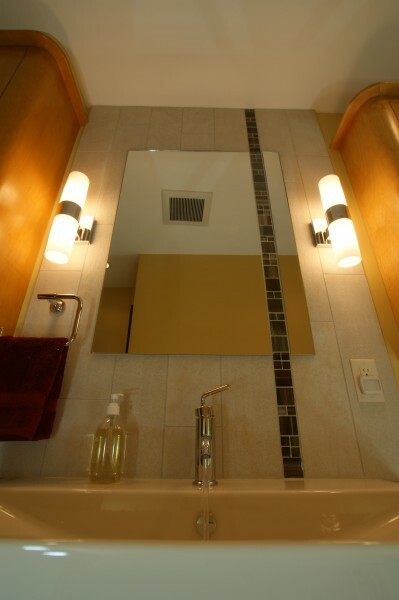 We added touches of industrial flare while making sure the materials looked timeless. 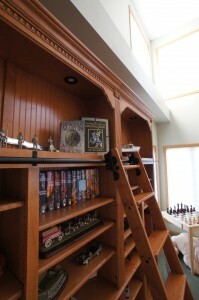 Furthermore, we added an archway into the dining room with a tray ceiling. 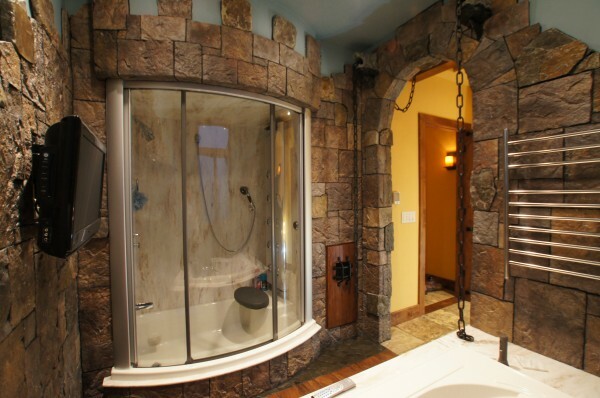 This gives the space some architectural detail and a wow-factor. 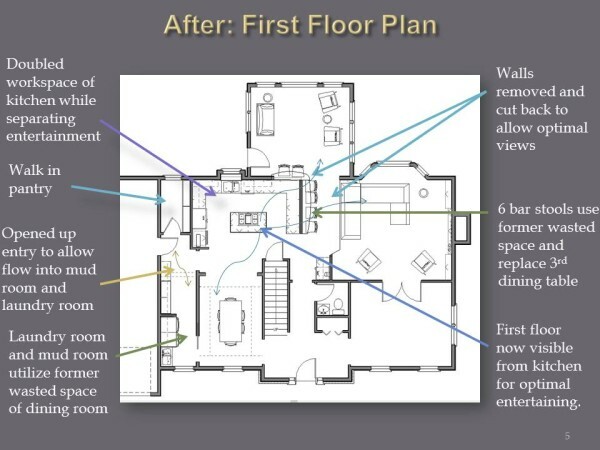 In the end, we transformed this first floor from 3 rooms into 5 rooms. 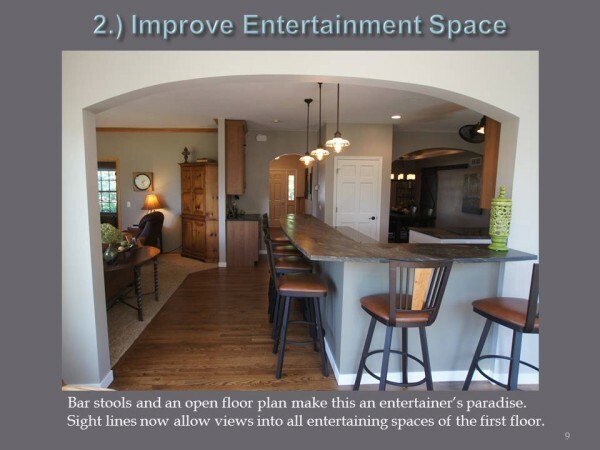 The homeowners now have a showstopper kitchen and dining space that is open to the living room. 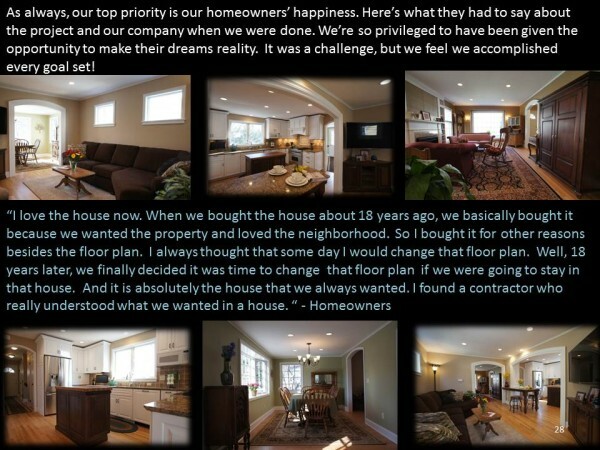 As a result, they couldn’t be happier. 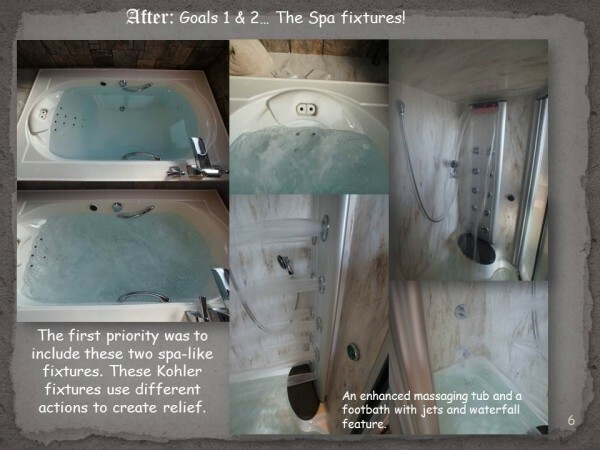 We checked off everything on their wish list and more. 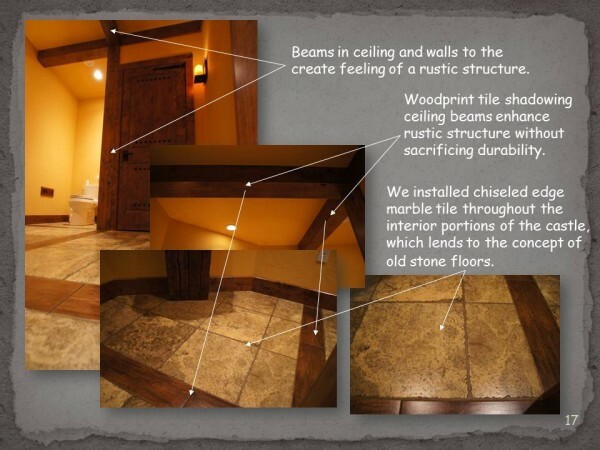 A special thank you to all of our contractors and carpenters who make our designs a wonderful reality! 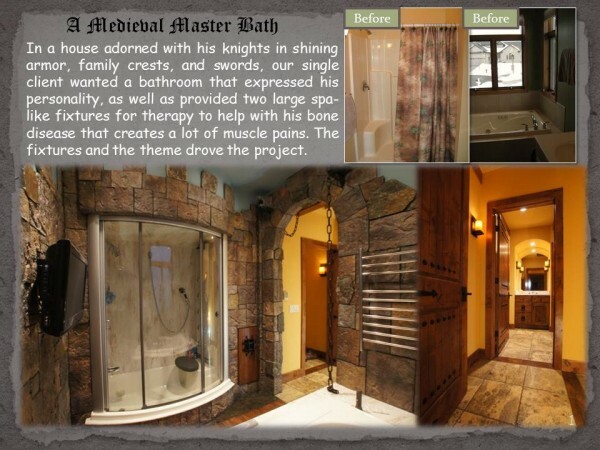 To see more of our award winning project photos, visit our Award Winning Designs page. 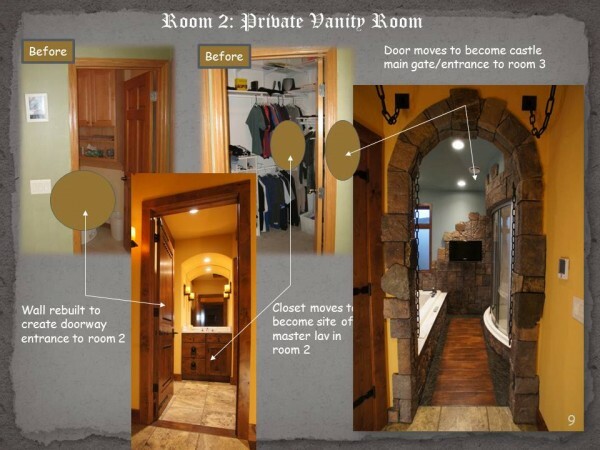 We are so very proud to announce that we have won both the local NARI Contractor of the Year Award (COTY), as well as the Regional COTY Award for Region 3 North Central for our first floor remodel in this old beautiful home in Madison. 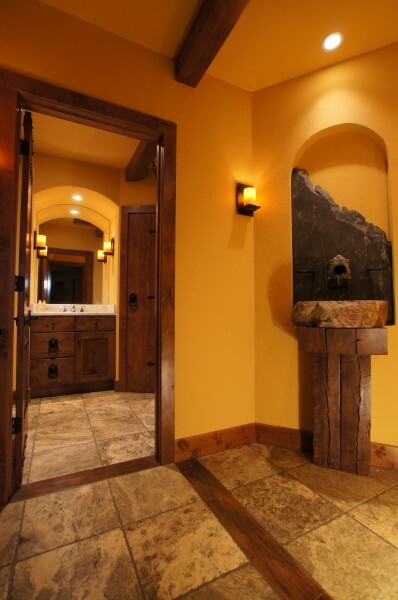 We love creating beautiful spaces like these! 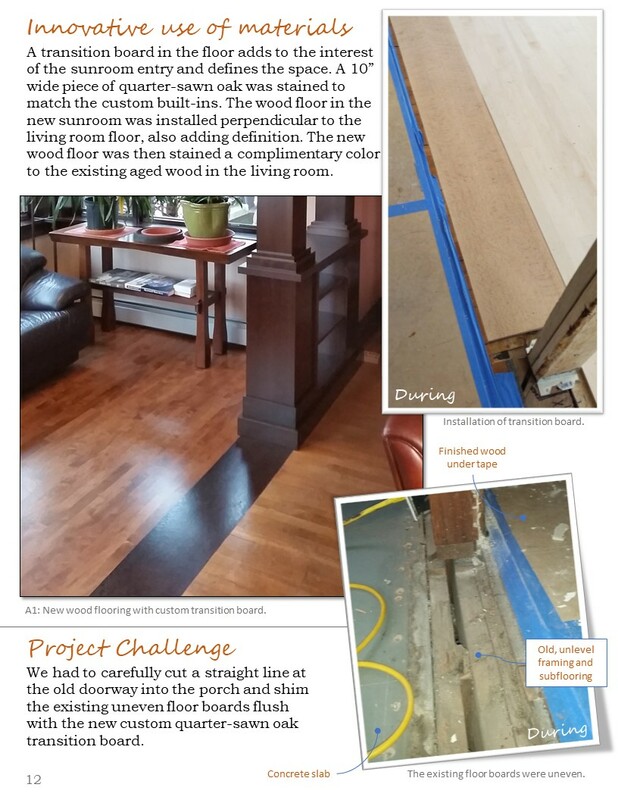 This first floor remodel project was especially a challenge due to the age of the home. 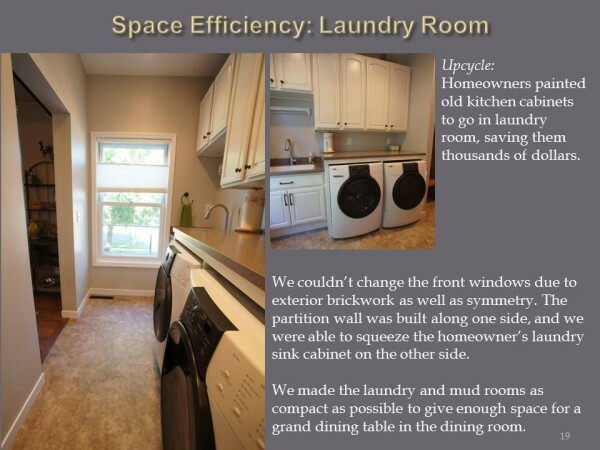 We had a kitchen that was sloping 3 inches in both the floor and the ceiling. 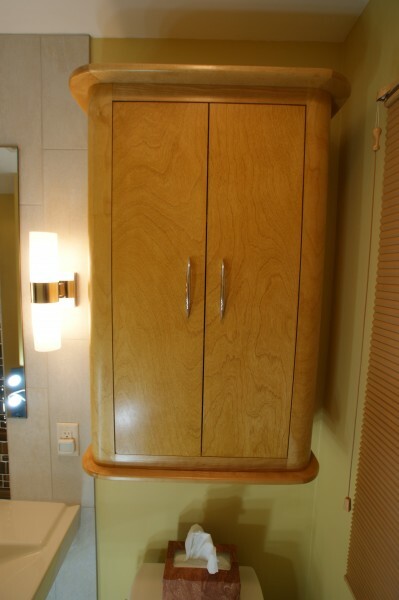 This made the casing as well as the cabinetry a challenge. 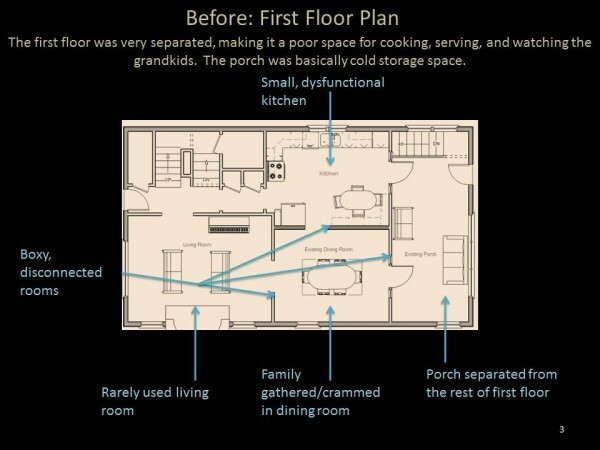 We had to make it all as straight as possible, while structurally improving the house as a whole. 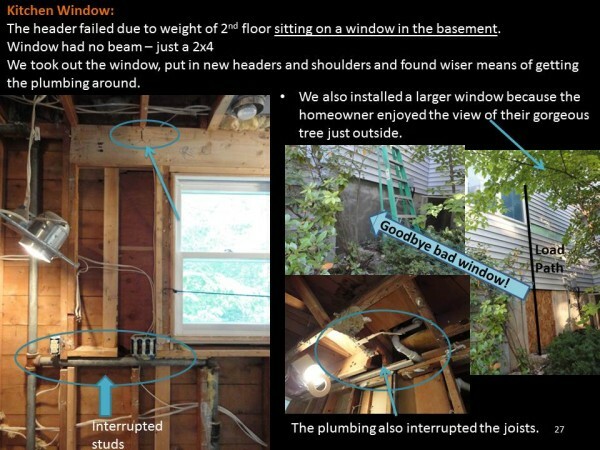 Many replaced headers, beams, posts, and floor joists later, we had ourselves a structurally stable house to work with. 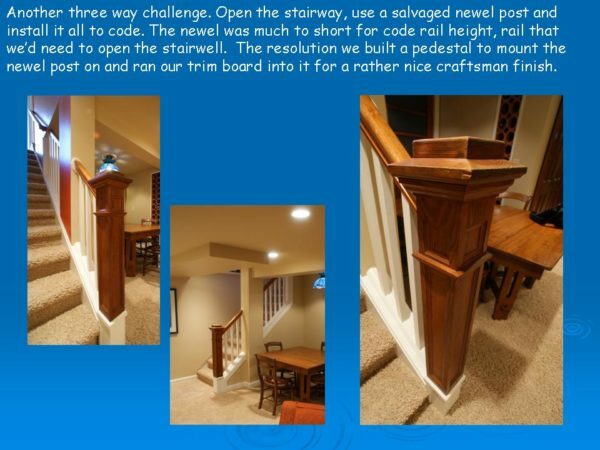 The challenges never ended, however. 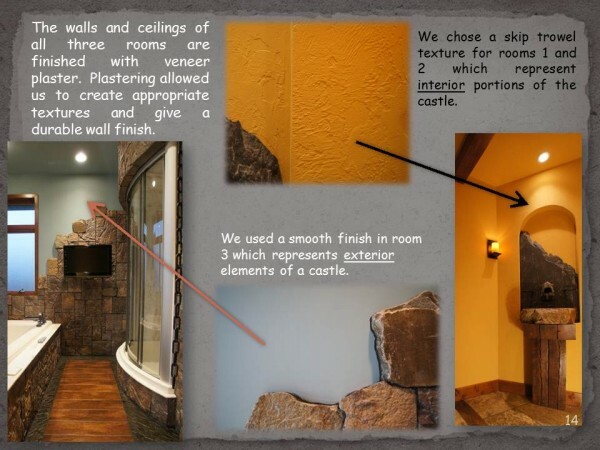 We had trim challenges, hood venting challenges, lighting challenges, and so much more. 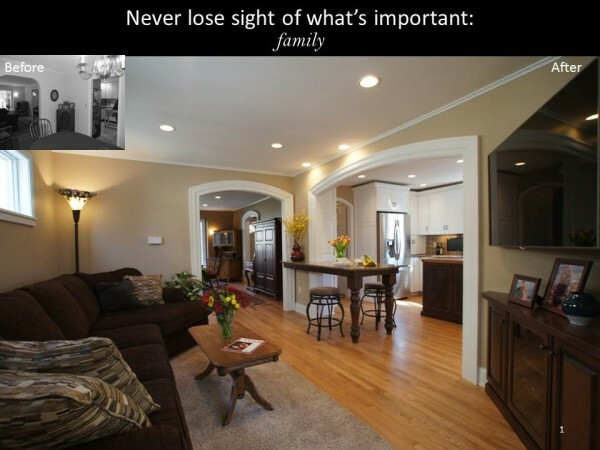 The end result is a beautiful home this family can enjoy for years to come. 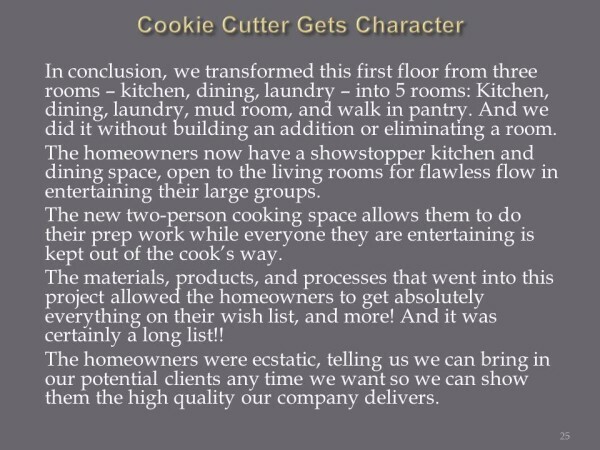 They now have a first floor that has much better flow and ease of use, a more functional kitchen, and better lighting throughout. 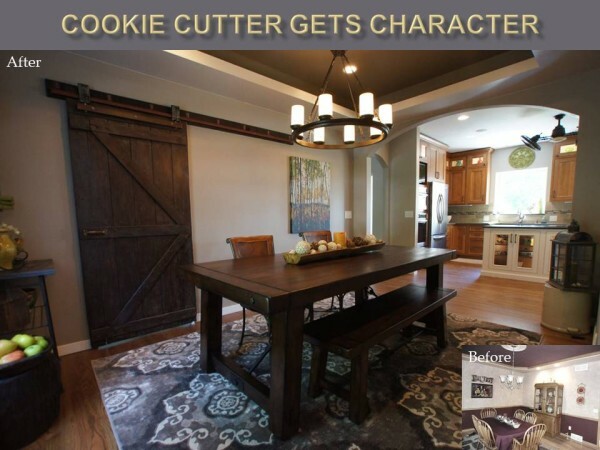 The cased archways and choice of finishes added character and beauty to this wonderful space. 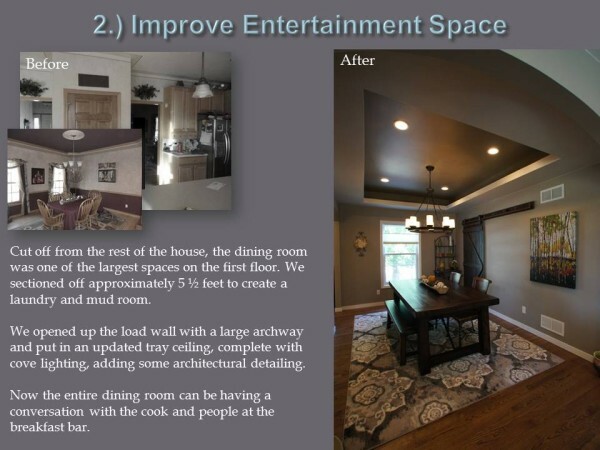 With the help of our sub-contractor team we were able to create this beautiful award winning first floor remodel that our clients absolutely adore. 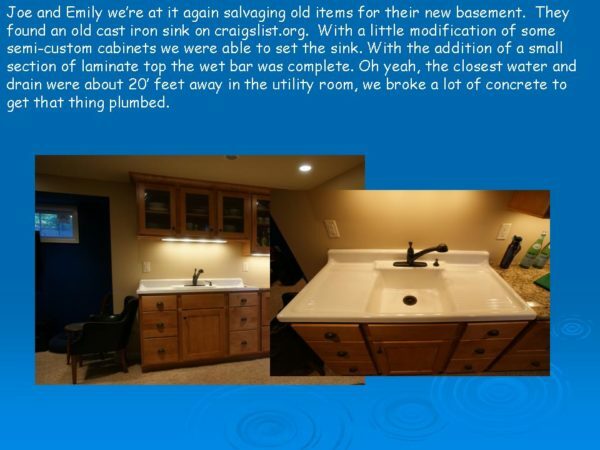 Thank you to our subs! 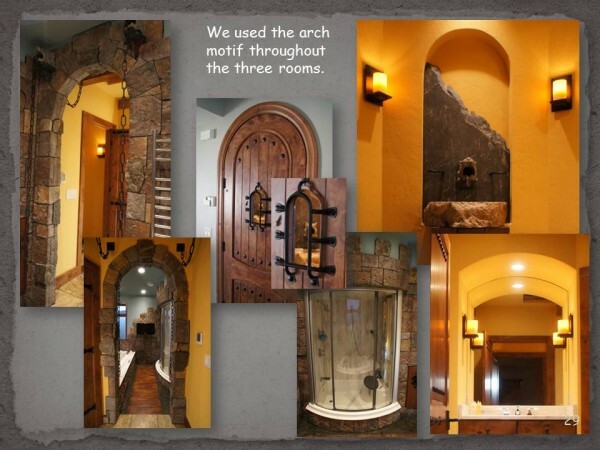 To see more photos of our award winning designs, click here. 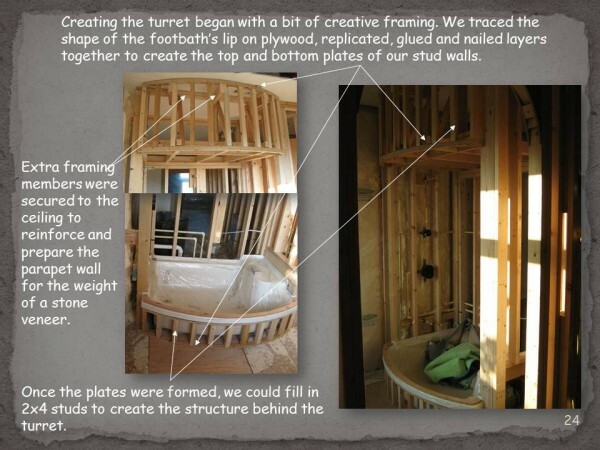 After having to cancel our tour last year due to the large tree that had fallen on it, we were ecstatic to be showing the addition project this year at the National Association of the Remodeling Industry (Madison Chapter) Tour of Remodeled Homes! 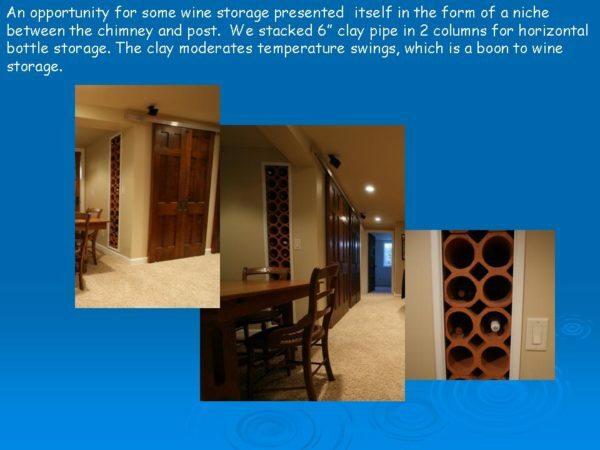 The tour home featured a two story addition and was a whole house remodel. 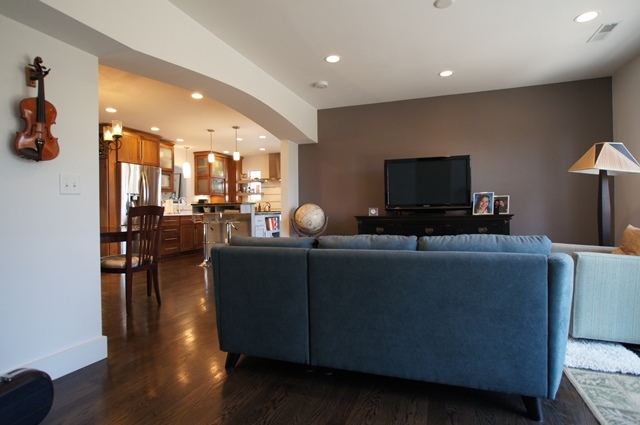 The addition houses a master suite on the second floor, a bright and open family room with adjacent mud room and powder bath on the first floor, and a full height music room on the basement level. 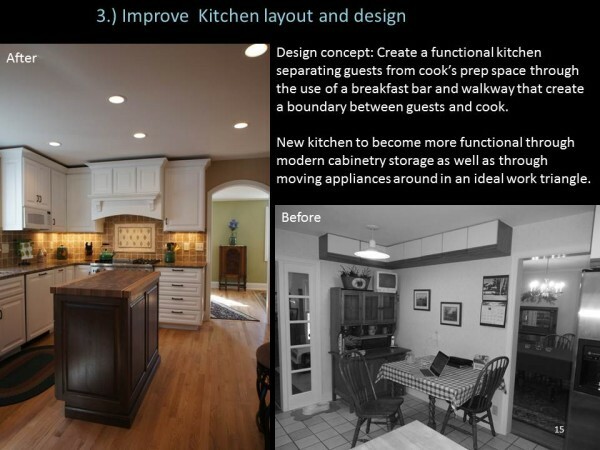 The homeowners wanted a design that offered high contrast, modern elements, and a restored historical interior. 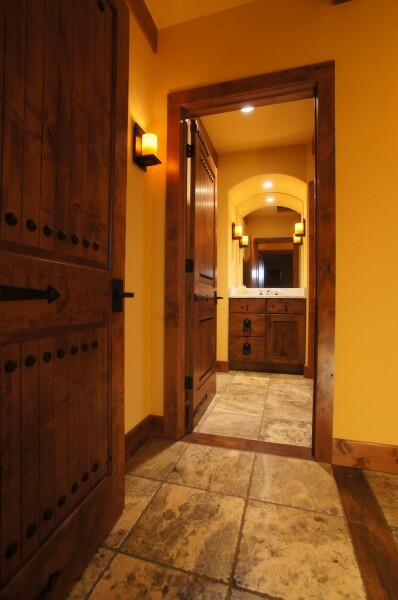 The house previously had ranch trim and slab doors, which were not original to the house. 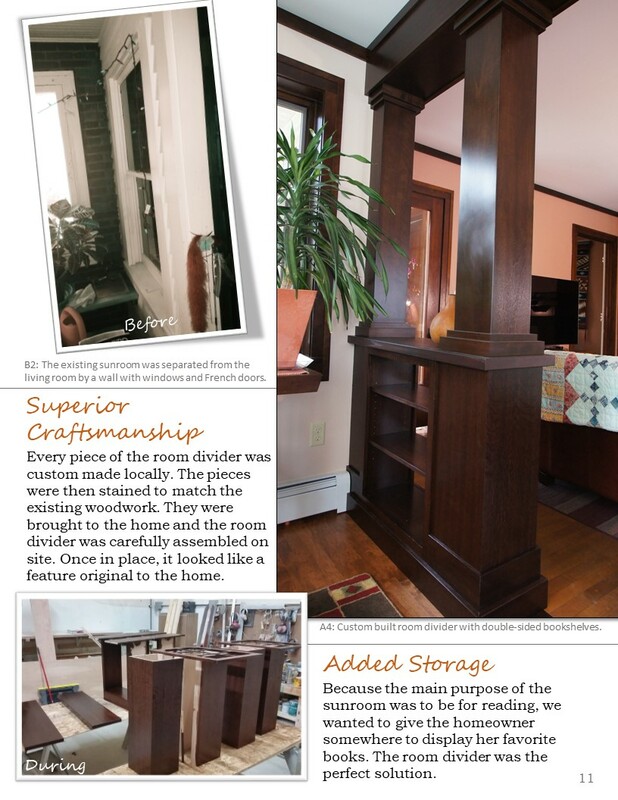 We revamped all of the trims to be a higher profile, simple design. 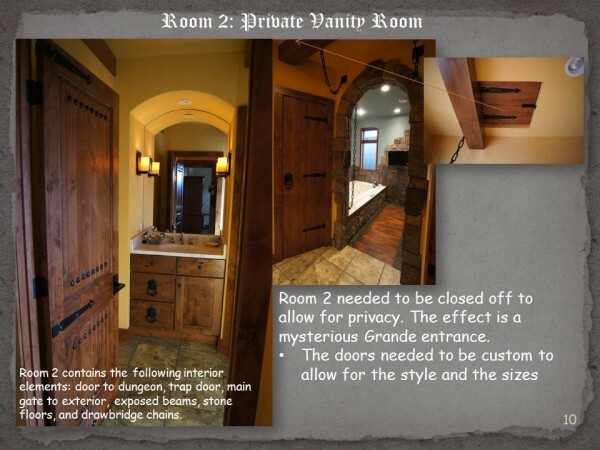 This both compliments the historical style while working with the client’s modern tastes. 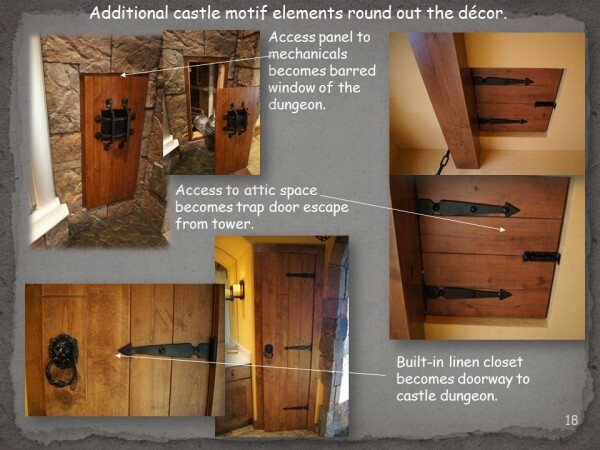 We refurbished two doors from the garage, then ordered new doors to match the style of these original two panel doors. 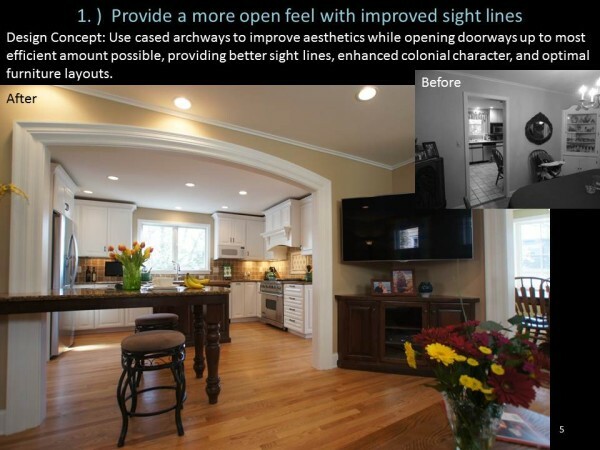 Archways in the open concept great room give added character and architectural details. 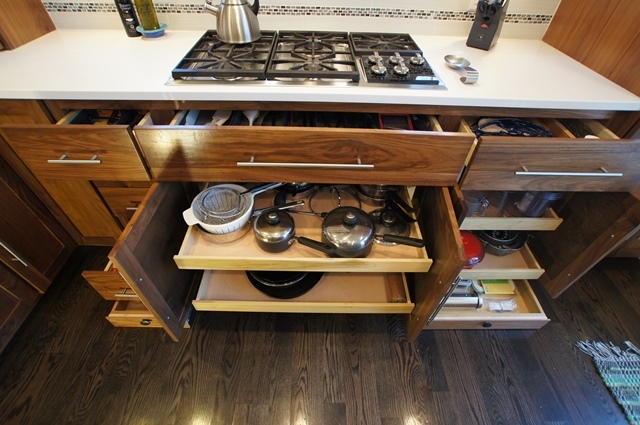 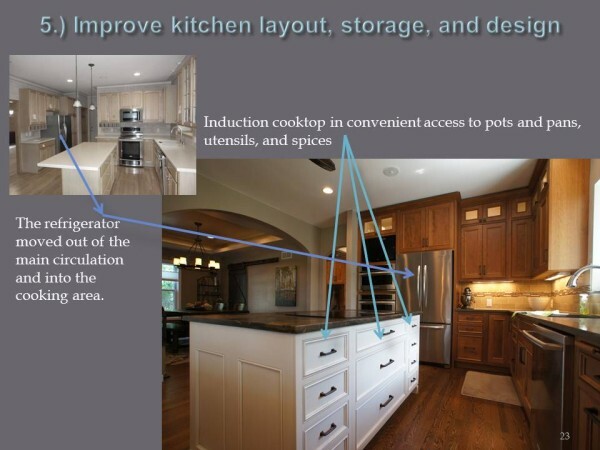 The new modern kitchen has tons of storage space and is much more functional. 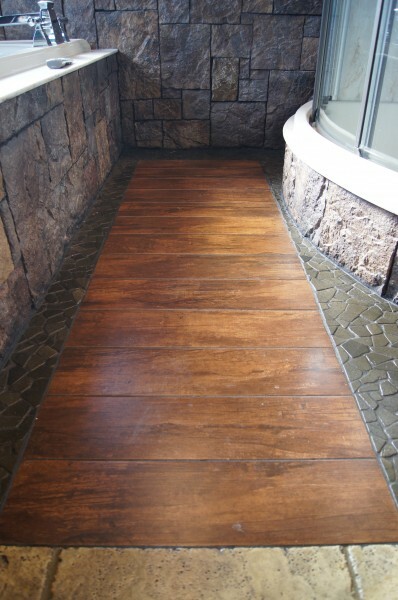 The exterior features a MoistureShield deck which is not only sustainable but very low maintenance. 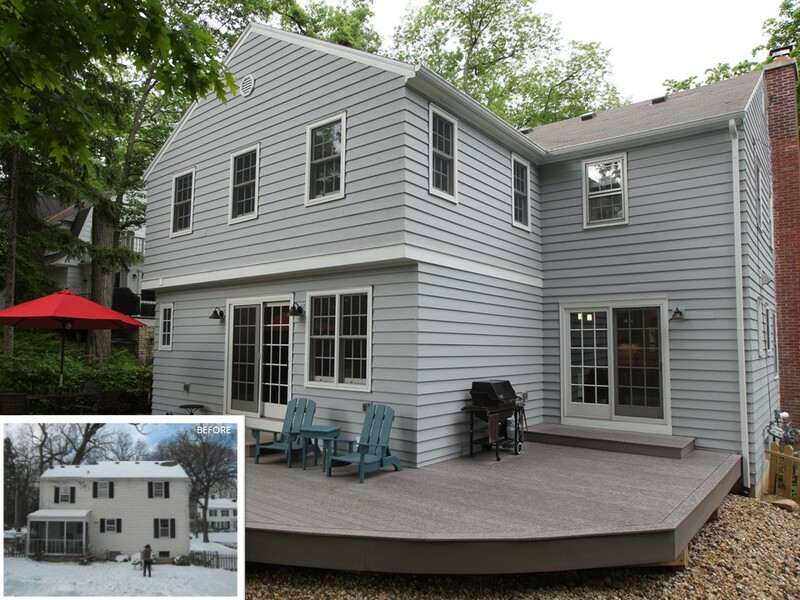 It only requires the homeowners to pressure wash once per year. 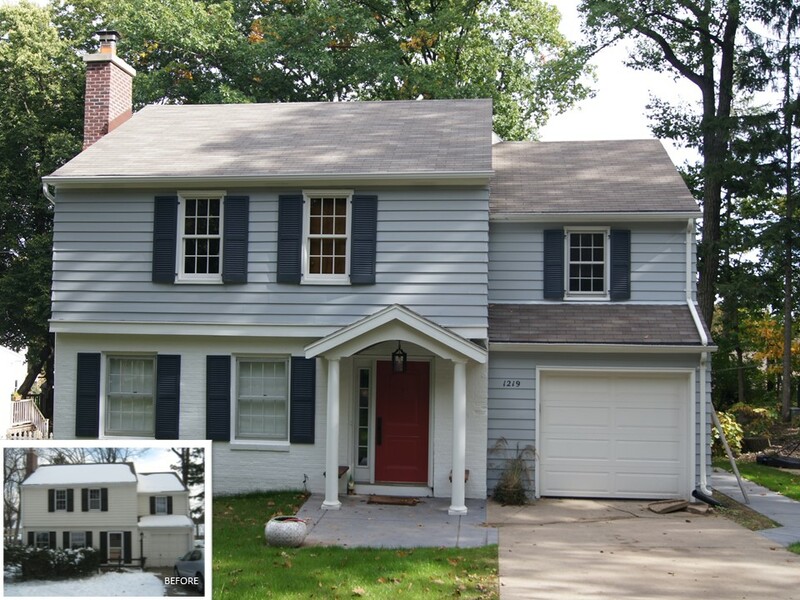 You can read more about our journey with the exterior of the home in our recent blog post Colonial Curb Appeal Project in Madison, WI. 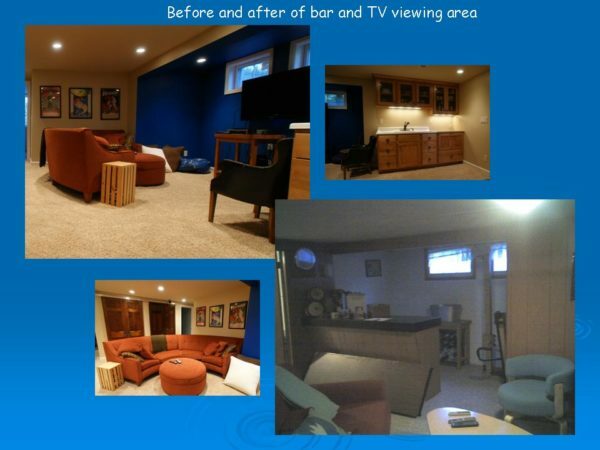 Thanks to all who visited! 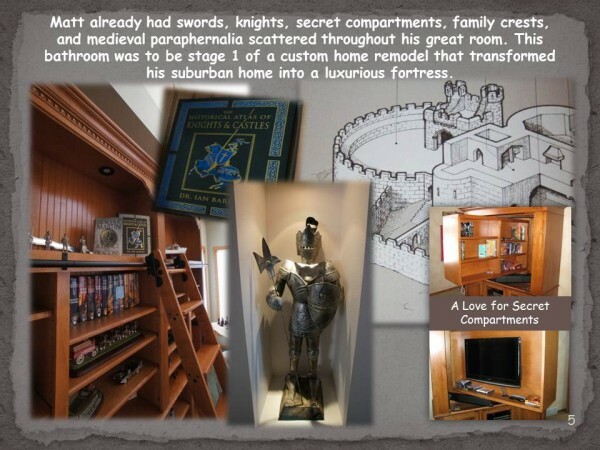 We had the most visited tour site of 2014! 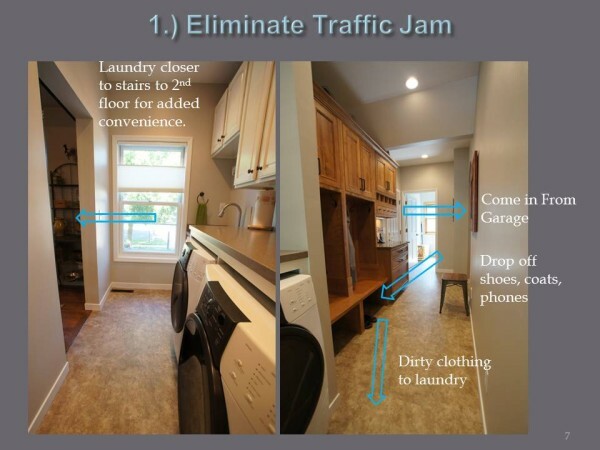 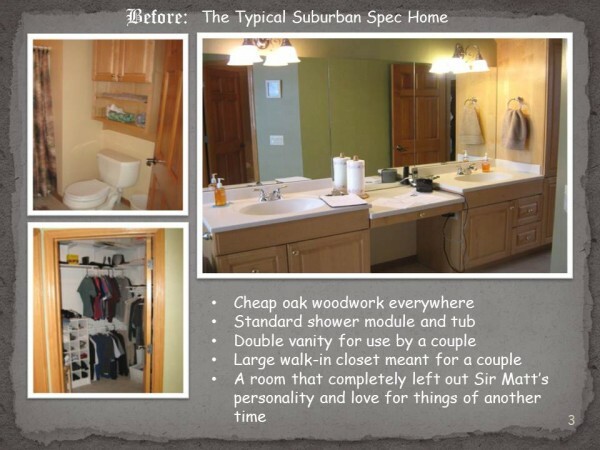 To learn more about the most current Tour of Remodeled Homes, visit NARI of Madison’s website. 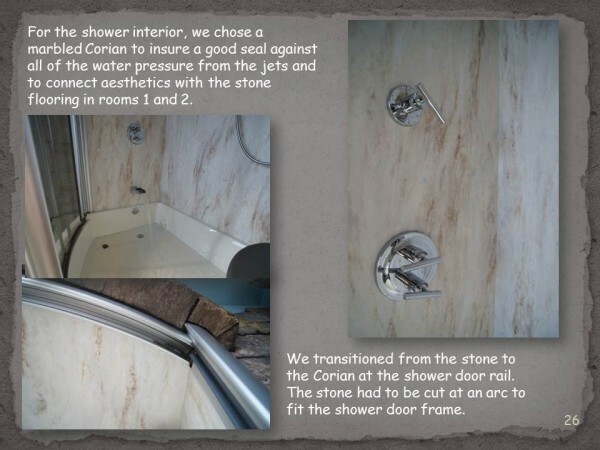 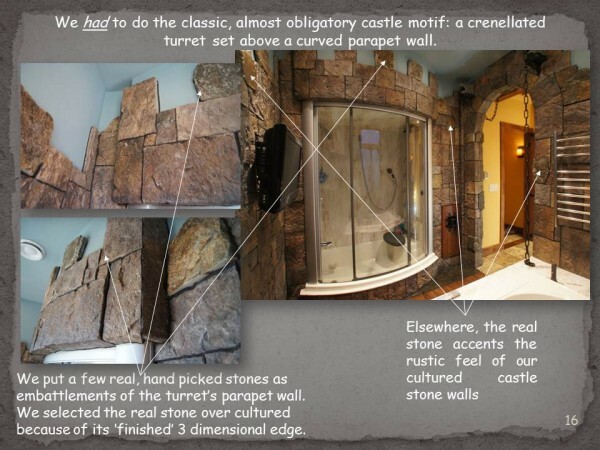 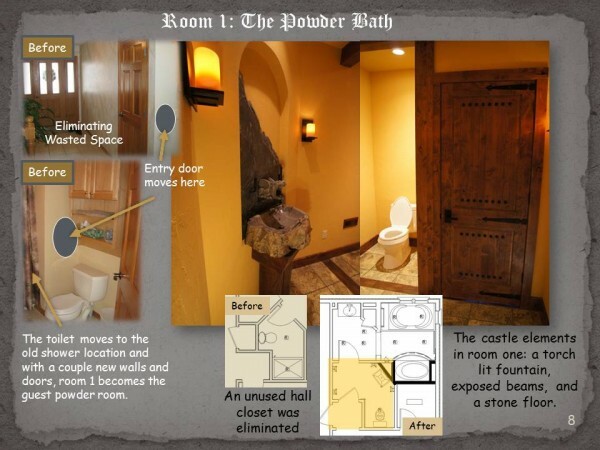 We are very excited to share this guest bathroom remodel award winner! 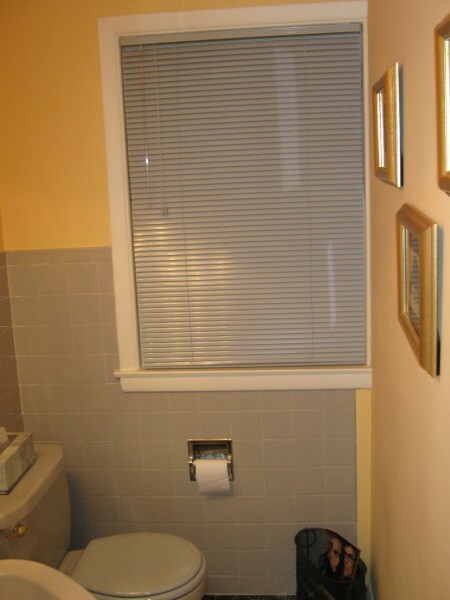 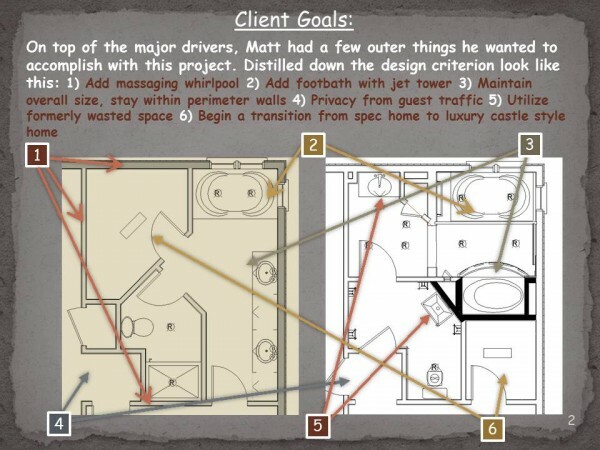 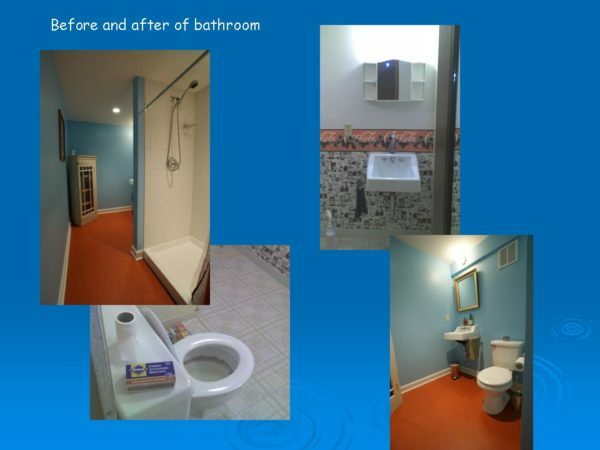 2011 NARI Contractor of the Year Award for a bathroom under $30,000. 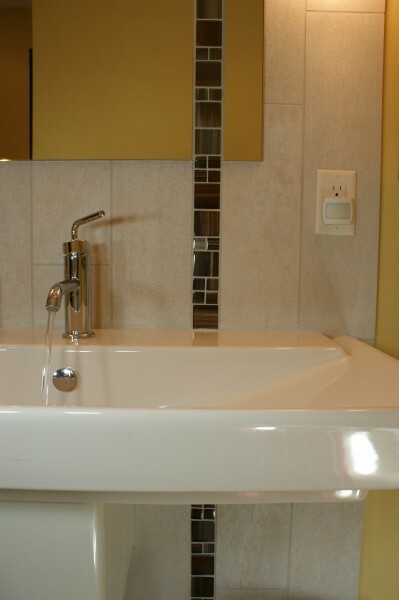 In this guest bathroom remodel project, we transform a small, cramped powder bath. 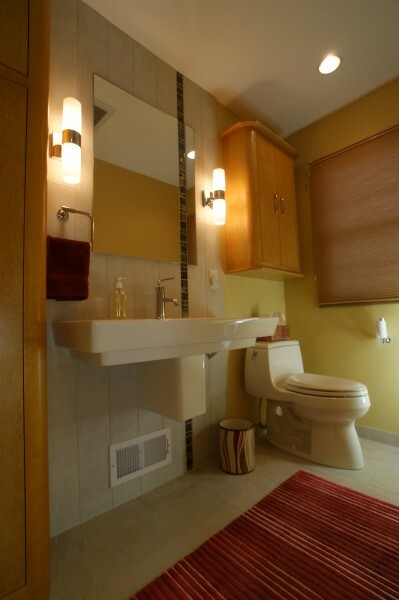 The traffic flow into the bathroom had a bottleneck effect, so rearranging the layout was a must. 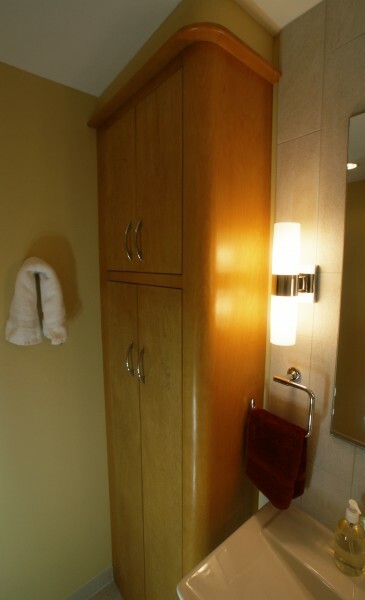 Using the couple’s inspiration from French luxury hotels they have stayed at as well as matching their kitchen cabinetry style reminiscent of their Haywood-Wakefield furniture collection, we created a very unique little powder bathroom for their guests within a budget of $15,000. 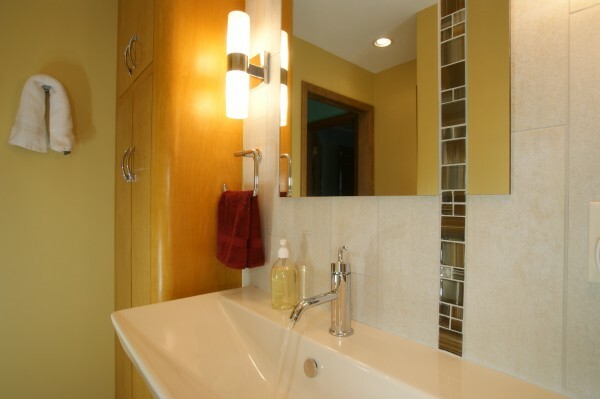 This bathroom is now a showpiece award winner! 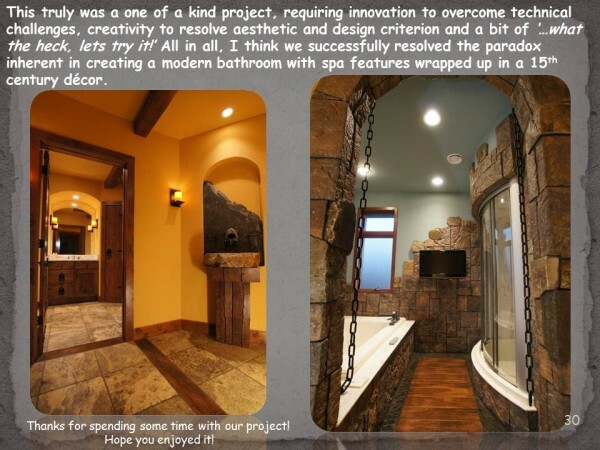 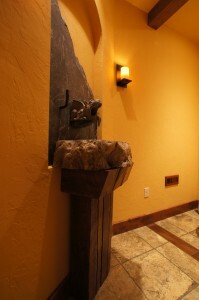 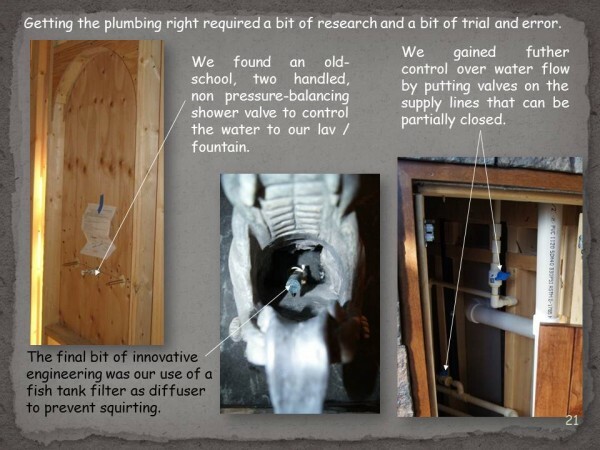 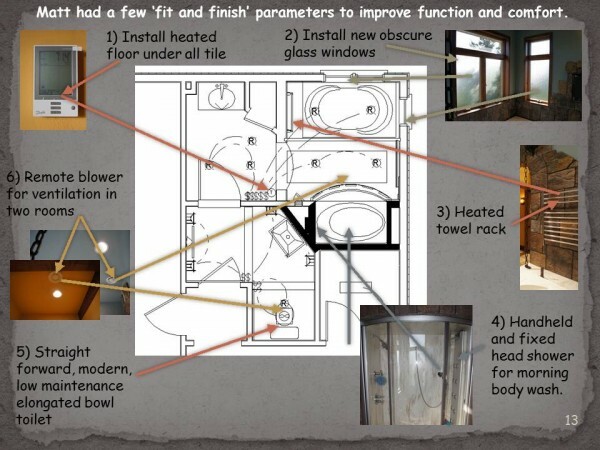 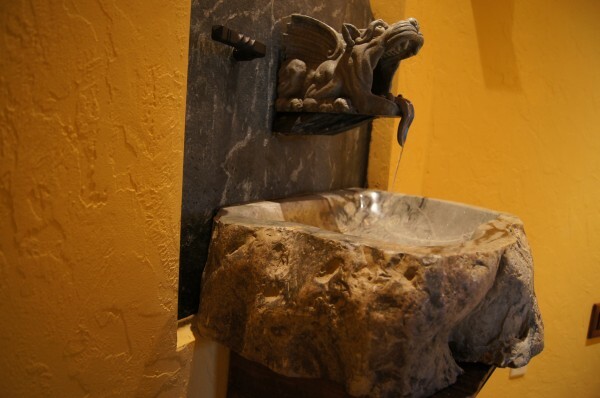 To see more project photos, visit our Bathrooms page. 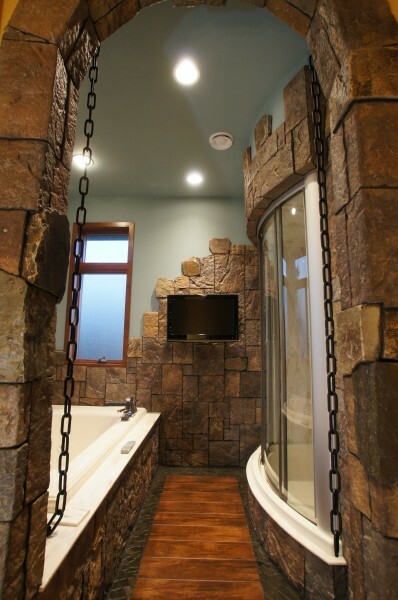 Nov 5th. 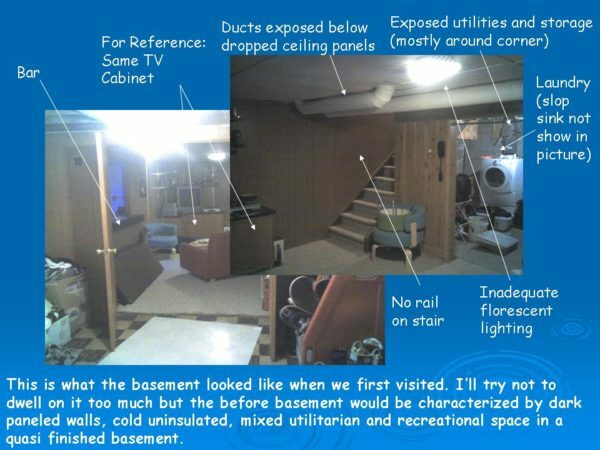 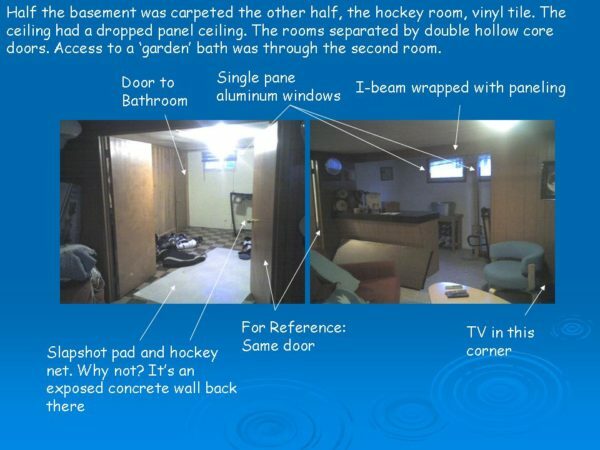 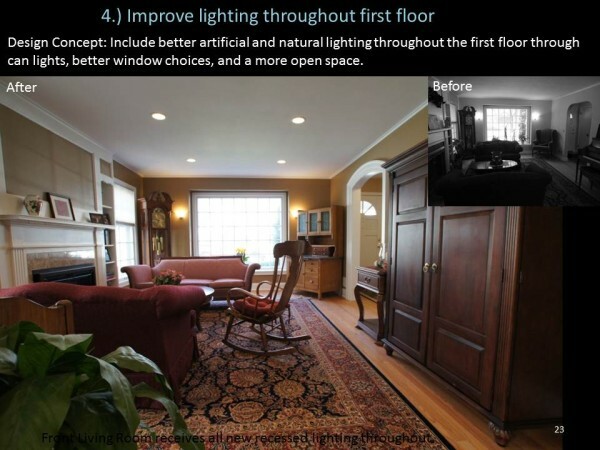 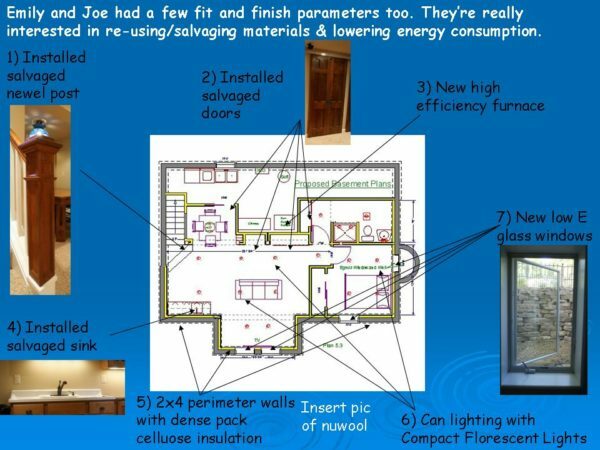 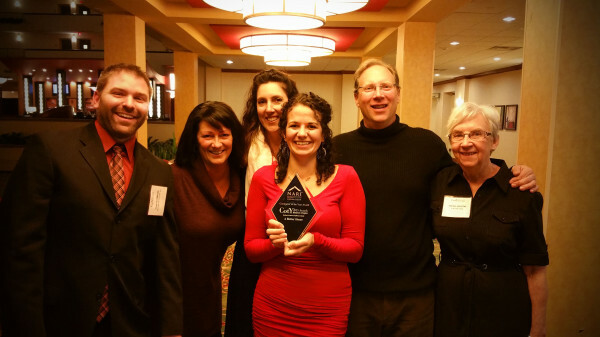 2010 – A Better Home was awarded a win for our basement remodel in Madison, WI. 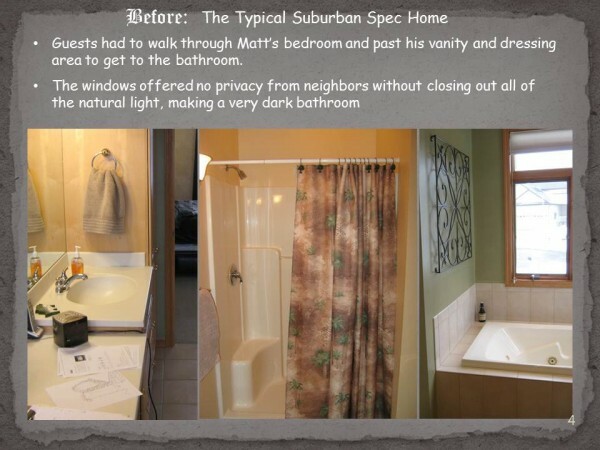 Our winning category was Interior Remodel under $100,000. 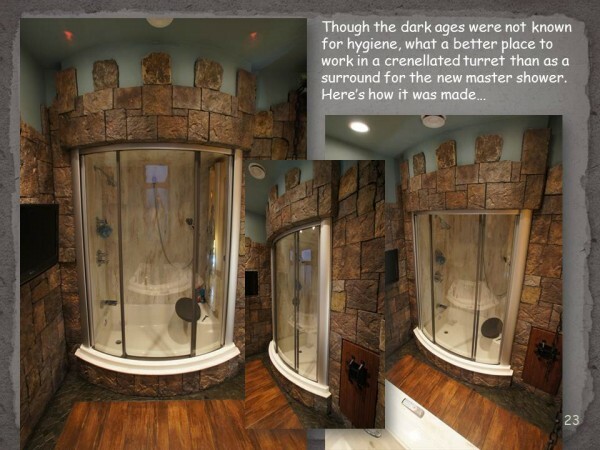 The competition is run by NARI (The National Association of the Remodeling Industry). 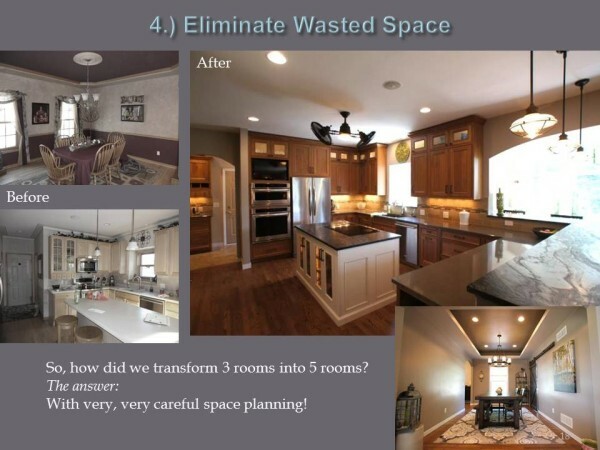 Remodeling companies enter projects for judging in 15 categories. 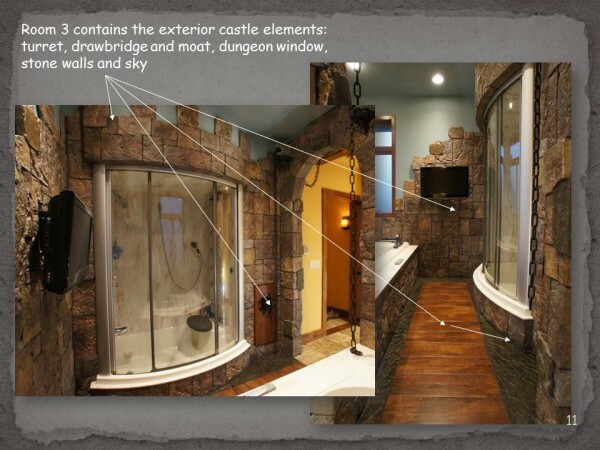 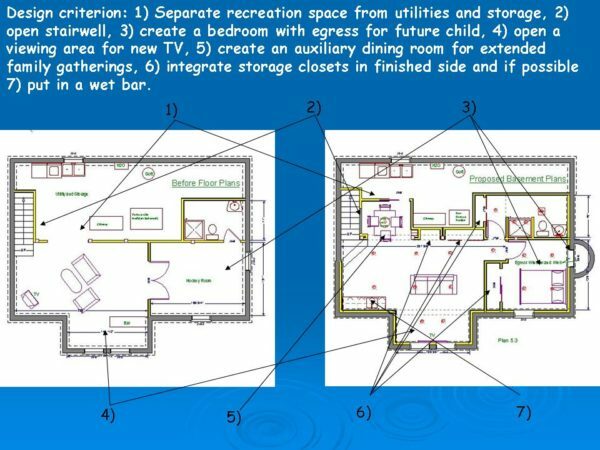 These categories include baths, kitchens, basements, exteriors, etc. 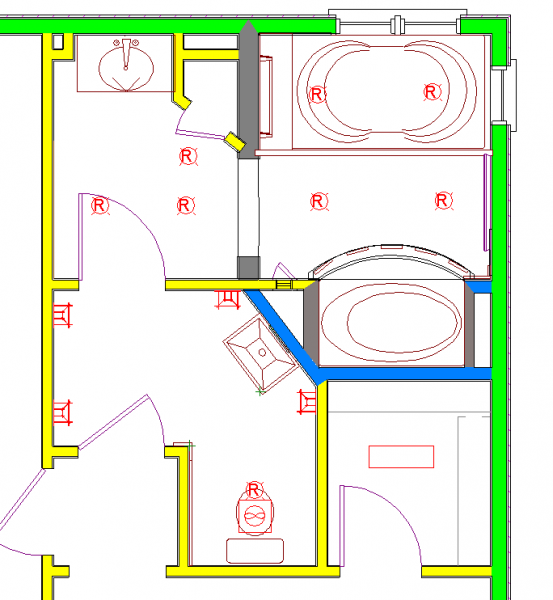 with subcategories of different sizes and scope. 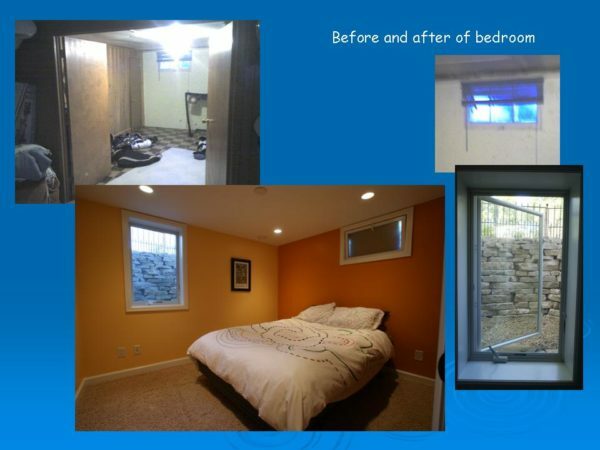 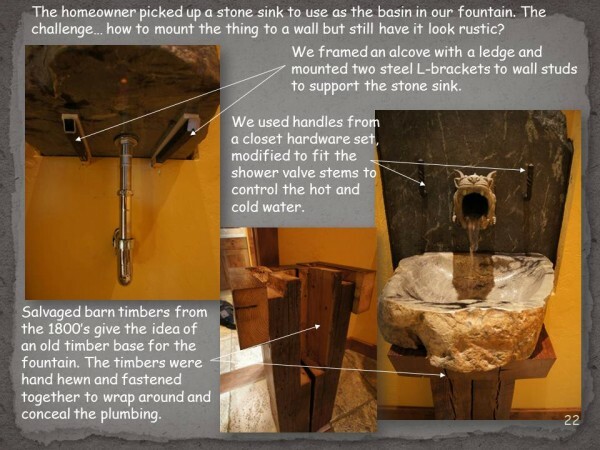 We placed 1st in our category for this basement remodel featuring the use of many salvaged architectural items. 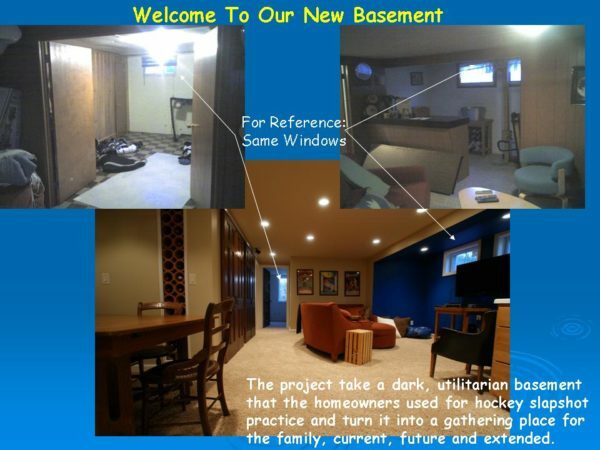 Because there were many challenges with remodeling this basement, the end result was even more amazing. 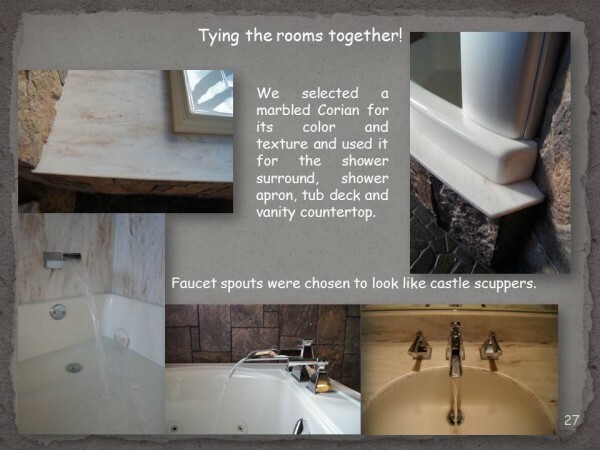 We made use of many salvaged items while finding creative ways to incorporate them. 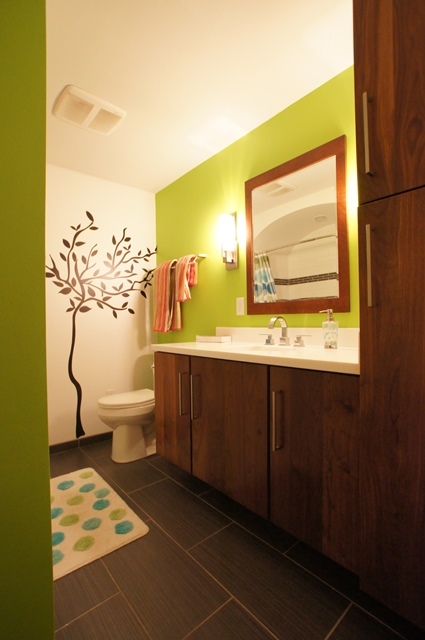 In addition, the fun, bright wall colors make the space feel less like a basement and more like a part of the home. 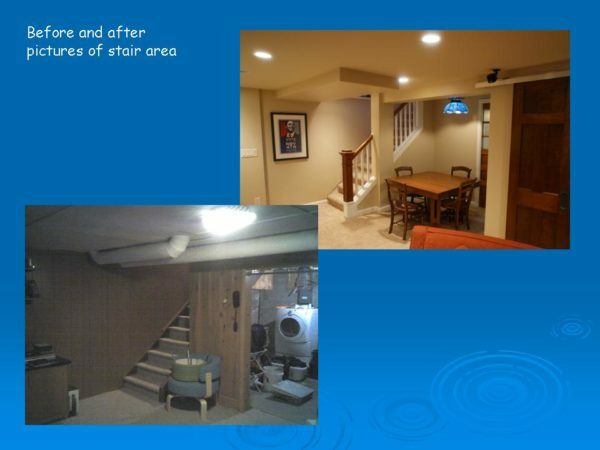 Most of all these homeowners now enjoy their basement remodel with added storage, a new bedroom with egress, an updated bathroom and a great family entertaining space. 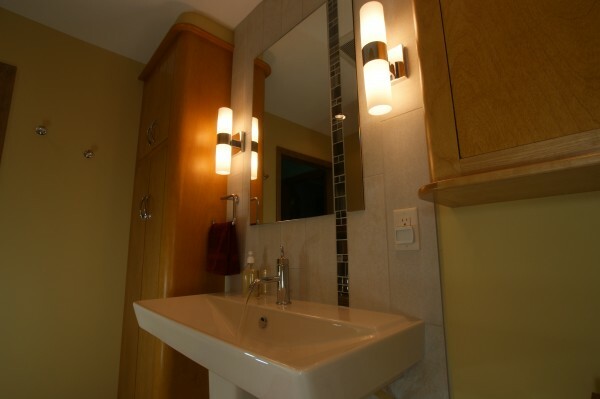 To view more photos of our award winning projects visit our Award Winning Designs gallery. 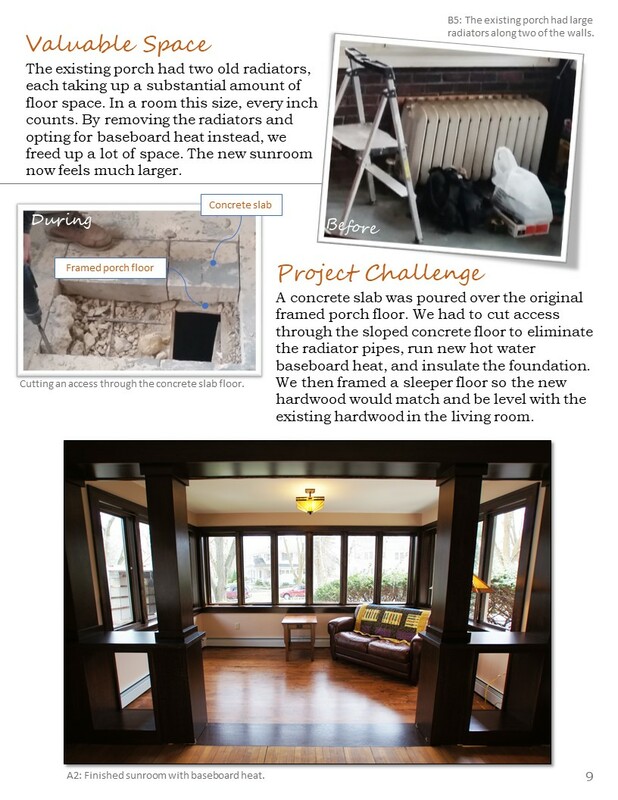 To read about more of our recent projects, visit our Projects & News page.